Convenient to prepare by only pouring in hot water and stir well, an enriching oatmeal is ready to serve! Even tastier when mixing up a bit with cut fruits, yogurt, fresh milk and nuts to enjoy a healthy breakfast bowl, just enjoy being creative daily with Quaker Oats! 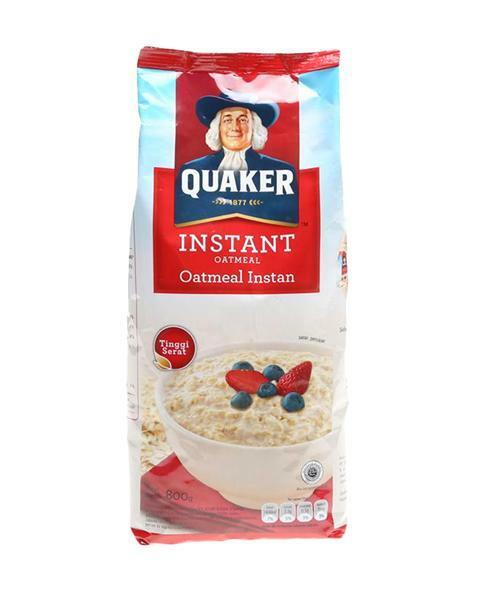 Thinking of Quacker Oats makes me reflect my past during the late 70’s until to 90’s where this food has been once a staple food of my late mother. And it had also been an anti-cholera medicine of which was effective in battling mom’s disease of continuous defecating and intestine bleeding. Thanks to this ‘simple but effective’ cereal meal. 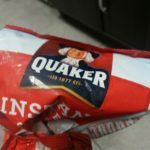 Saya telah menjadi pengguna setia Quaker Oat bertahun-tahun. Kebiasaannya saya akan memilih yang instant kerana lebih mudah untuk menyediakannya. Cuma tuang air panas dan tambahkan buah kegemaran untuk menambahkan lagi kesedapan dan nutrisi. 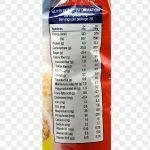 Oat sangat bagus untuk mereka yang memiliki masalah kolestrol dan saya jadikan Quaker Oat sebagai menu sarapan saya dan suami. Selain rasanya yang sedap, ia membekalkan tenaga yang cukup untuk saya dan suami. Sangat bagus makan oat nie bila-bila masa, Tak semestinya breakfast saja. 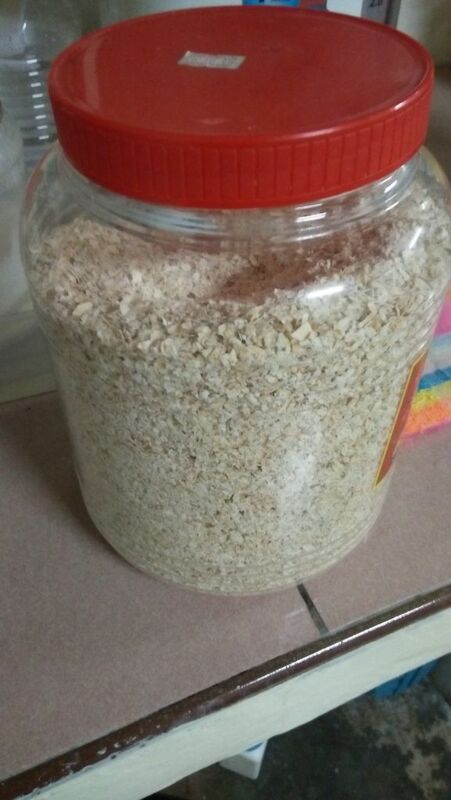 Makan oat nie memang kurangkan potensi masalah sakit jantung dan rasa ringan dan perut penuh lepas makan. It’s a perfect meal to diet! I usually eat it during breakfast. And trust me, I still feel full and not hungry until noon. So I don’t have to take and buy any foods during tea breaks which will save my money yey. Plus. To make it more proper meal, do add some fruit. I will add banana since it can give us energy to our body. However, you will feel bored if you take it often. Do mix it with milk not jot water. If water, not delicious. Very dry and tasteless. This is the brand my parents have it every morning as breakfast. Just add hot water and can be served instantly. Convenient, affordable and good for health. Because im a college student i need quick food n breakfast to eat in the morning. So i really like the taste n texture. Usually i eat with chocolate jem. You guys can try it if you dislike it plain. And i have nothing to dislike about this so far. So far so good. 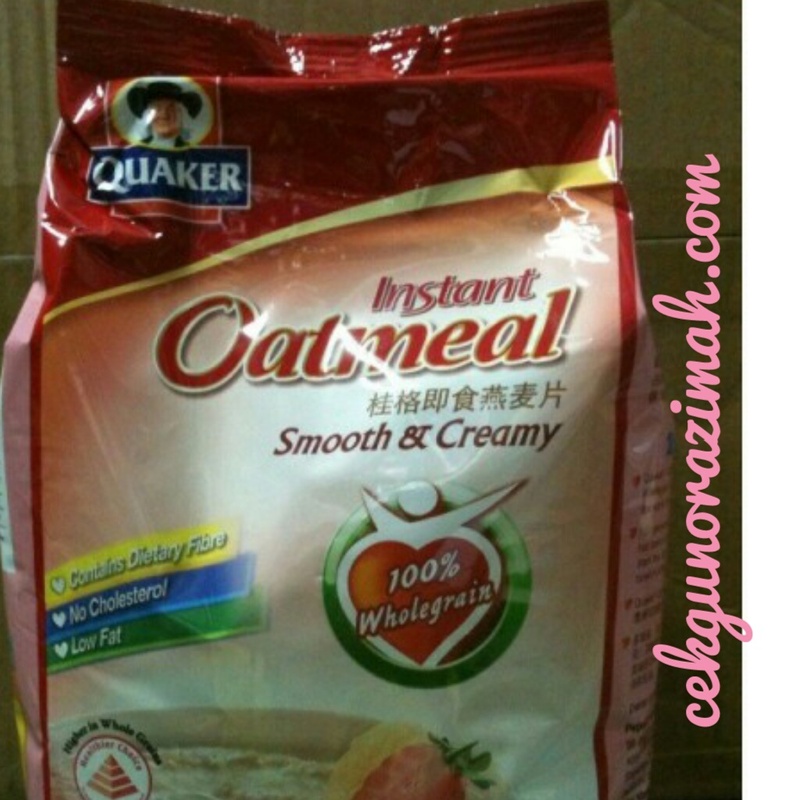 Quaker Instant Oatmeal have help me to reduce my weight and my cholesterol level. It very nutritious and u can have it your way. Take Quaker Oat as breakfast daily. My cholesterol level is improving and it can be a nutrition food which boost up a healthy body. The taste is good and it is smooth for intake. 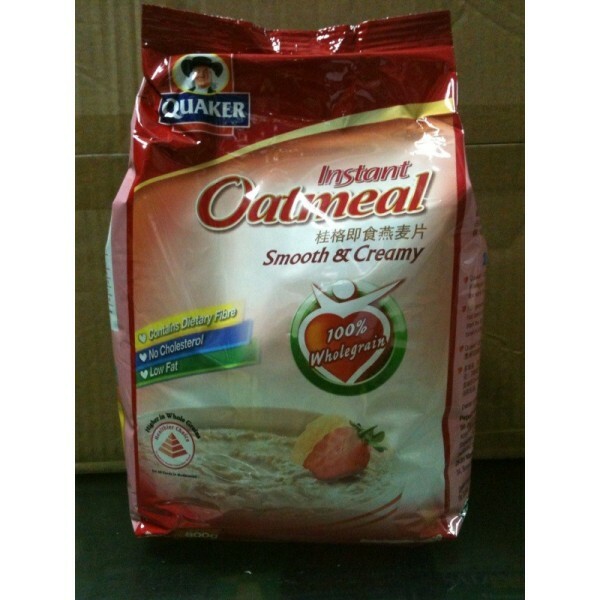 Quaker oat instant memang menjadi pilihan saya dalam berdiet. Saya mengambil oat ini bersama susu dan hirisan buah buahan segar untuk sarapan pagi. Selain itu ia membantu dalam mengawal kadar kolestrol dan gula dalam darah saya. Secara tidak langsung ia membantu saya mengawal diabetes. Memang dicadangkan untuk kesihatan. The best healthy food i think? But it does taste very plain. Only if you make it moreee attractive which i mean put some fruits like banana or strawberry. It will make more tasty. Trust me hehe. And preferably to make it with low fat milk. Not with just plain warm water. Not delicious. Sangat bagus untuk memulakan sarapan.sangat senang untuk disediakan malah memberi protein yang cukup sepanjang hari. 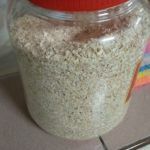 sangat sesuai untuk ahli keluarga yang berusia.malah kanak-kanak juga suka dengan oat meal kerana sangat sedap dan menyelerakan.produk ini sangat berbaloi dan sesuai juga untuk seseorang yang mahu memulakan diet yang betul. I use this product on a daily basis as part of my diet. It is my go to snack or meal. Very filling, and I assume healthy. Very convenient and versatile as well. My grandmother loves this oat a lot!! Love this oat to the maximum. It’s easy to cook. I always cook it with hot water and milk. I also make oatmeal with this oat as well as some fruit. 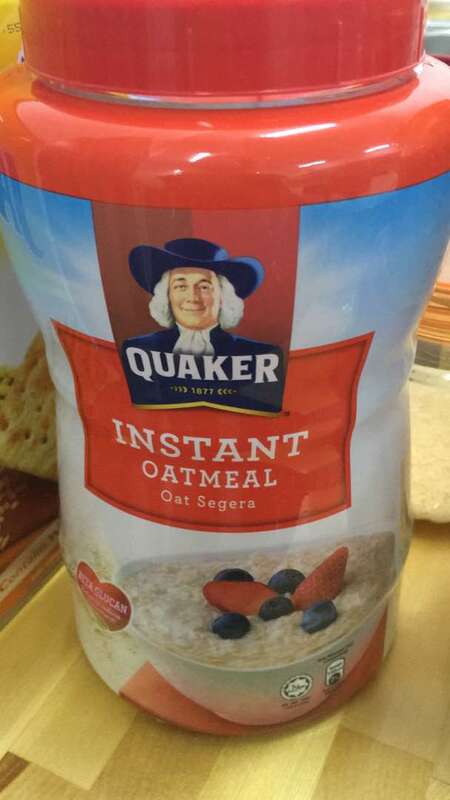 I had Quaker Oatmeal instant for my daily breakfast, it’s a healthy cereal. n also it’s convenient & easy for me to made. Quaker oat is very effective helps to reduce my bad cholesterol level significantly. My panel doctor recommend to take oats daily. Oats can help clean blood vessel and make our heart healthy. I always mixed oats together with chocalate malt drinksand drink 2 times daily. Now I can feel more healthy after consume it more than a year ago. 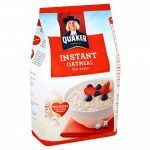 Saya mengamalkan quaker oatmeals untuk mengurangkan berat badan. Sangat terbaik. Adik dan kawan-kawan saya juga masih menggunakan oat ini dalam kehidupan Seharian. Sebagai student memang berbaloi baloi. Membantu mengurangkan pengambilan kalori lagi. Bertambah sedap kalau dicampurkan dengan serbuk coklat. Yummy. 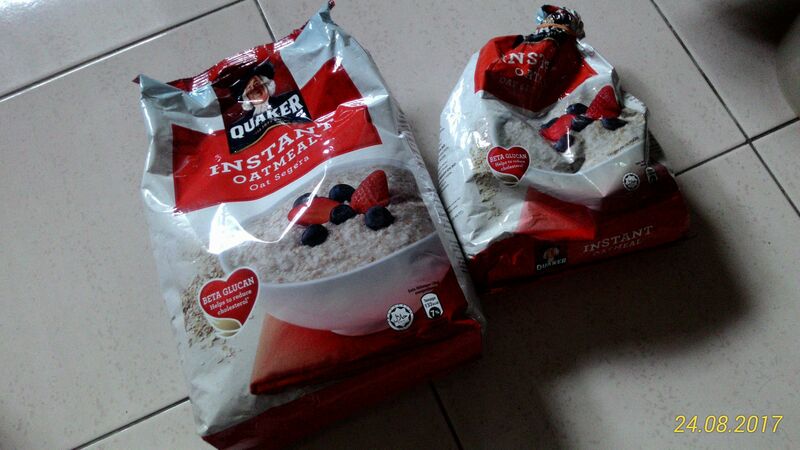 Sy dan family mengamalkan quaker oat instant pada setiap pagi. Ia sangat bagus untuk mngawal dan mngurangkan kolestrol dlm badan seseorang. Terbaik dan mampu memberikan tenaga setiap hari. After all times when I was finished my work out training , I will make one cup of oat meal for myself instead of rice or bread , because it provided us more proteins and no hungry feels and lower calories. Somemore the price is more affordable and acceptable. My all time favorite breakfast for years. It is very filling and can help in losing weight. Yet it is also rich in antioxidants and provide powerful fiber to our body. 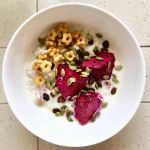 This oats is good for people who have no time to prepare own breakfast. 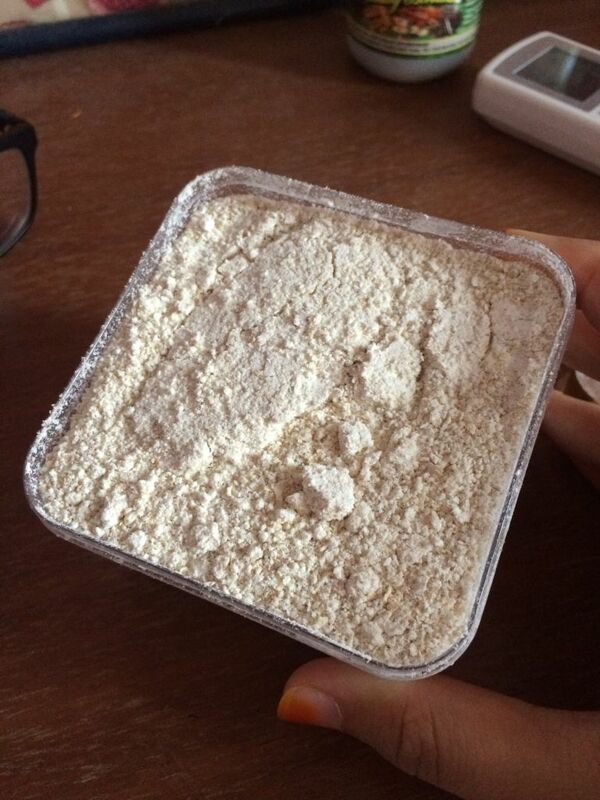 I always eat it by mixing it with either Milo or milk powder. I like its taste! This is also suitable for the whole family as it is a healthy food that can be consume in many ways as you like. 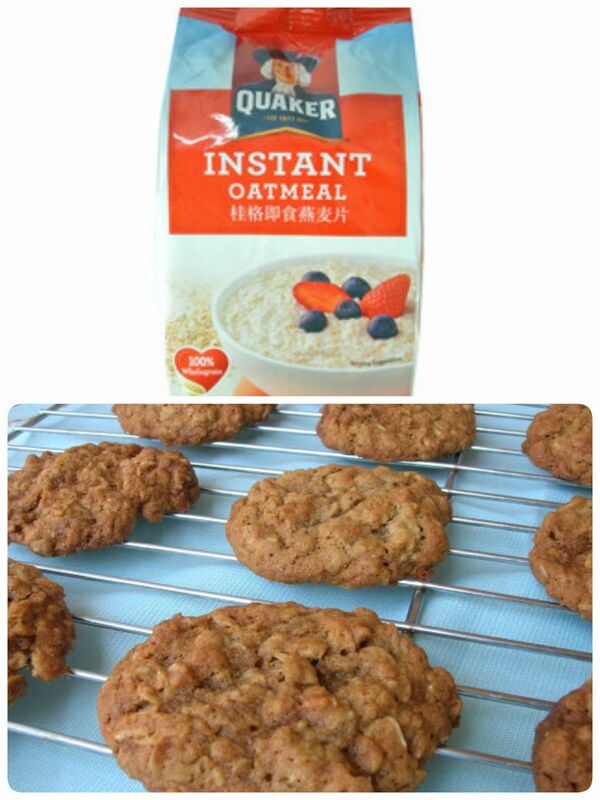 Quaker instant oat can be eaten hot or cold. Pour in hot water and add some toppings like raisins, fruits, and nuts OR pour in cold milk and mix with yogurt to enjoy healthy overnight oats. You can also bake it with flour to create biscuit-like oats, and use it to make granolas! A very versatile healthy meal that will definitely fill your stomach. I used to eat it as my routine breakfast everyday since i was a child. I love it when mom cook it with milk. I will eat it with cornflakes or fruits. It really helps me with my gastric problems and it is very healthy.as i grew older,i ate it with my favourite dish and change it with rice.its healthier that way and it helps with digestion as well. 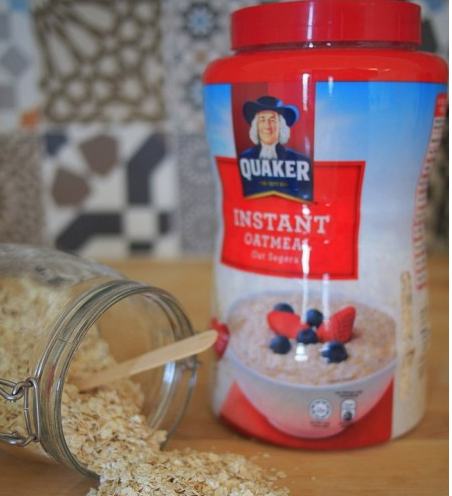 Quaker Instant Oatmeal is a good, healthy and easily prepared breakfast. As I remembered, oat was one of my least favourite food since I am a child because there was so many other tastier food I can eat. 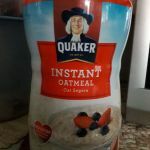 But as I grow up and started to get busy and tend to skip breakfast, I now take Quaker Instant Oatmeal almost every day since it’s easy to prepare. To make it even more tasty, I usually add various type of fruits. It is a good choice for having it as breakfast. 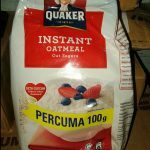 Sayangi jantung anda dengan amalkan Instant Quaker Oat meal. Quaker instant oatmeal is a good option if you wish to have a healthy breakfast or sometimes I even take it as dinner. To add more flavour to it, I always add in milk, raisin or nuts to it. Believe me, you’ll love it. I’ve been using oats for a year now as my cleanser as I suffered from extremely dry skin. 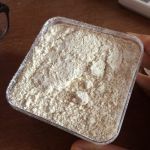 I blend the oats into powder ( easier to use when it is in powder form) and mix it with water (sometimes honey), and wash my face with it and leave it for few minutes before washing it off. I noticed that I rarely get pimples even when I am on my period. I eat Quaker every morning when i was in a hurry to study.It is healthy and fundelicious ，i always put some nut and milo to make it more tasty.I also use it to cook porridge with apple. Every morning, I wake up to start my work, it\’s crucial for me to make my breakfast in a short period since I\’ve to rush every single day. This oat product not only delicious but also contain nutrients that our body needs. It\’s also a treat choice for your supper when you staying up at night or just feel like want to eat something to fill your stomoch. 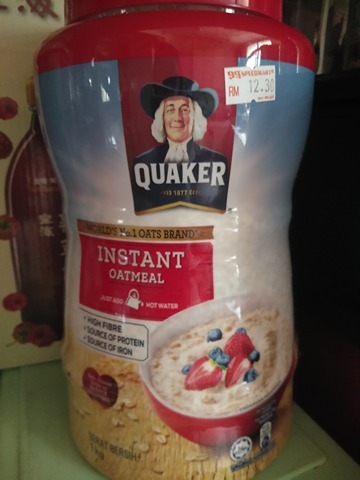 Saya suka oat.. makan dengan buah lagi ohsem.. Nak buat pun mudah sangat..
I’ve tried several other oatmeal brands and Quaker’s is by far the best! 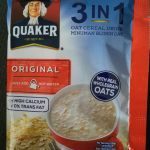 The oats are cut fine enough that they absorb the water easily and are easily digestible that they provide the fiber that I need in my diet everyday. 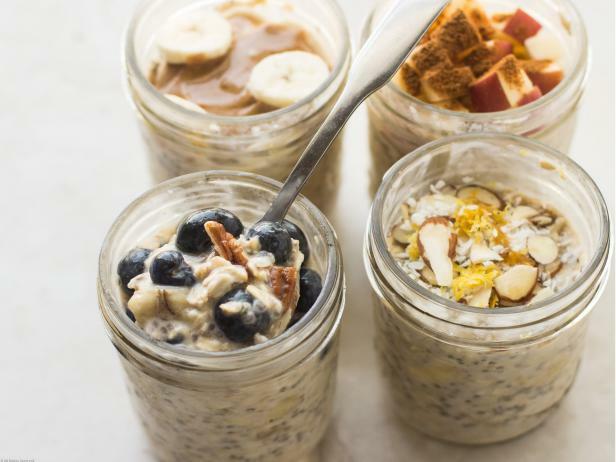 Overnight oats are by far the simplest yet the best oats recipe I make everyday for breakfast. I continue eating this oat as my dinner for a month.. my weight is obviously went down.. this is not only healthy, it also help in managing my weight. I drink it plain and I feel it is okay. 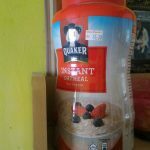 I bought Captain Oat before but quaker is easier to be dissolved compared to campain.. strongly recommend.. It is a healthy breakfast. I like to take it together with Milo. I taking it every morning without fail. Besides that, it easy to get from any groceries or retails shop. The most important one is it can help to reduce our body cholesterol. I always recommend it to my friends. 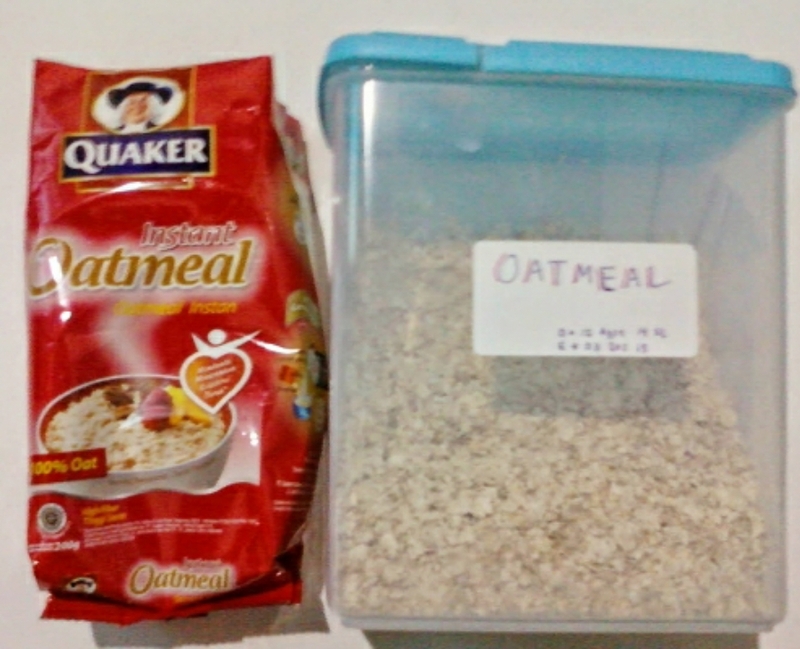 Quaker Oat antara jenama oat yg saya gemari. Makan bersama air milo dan biskut. 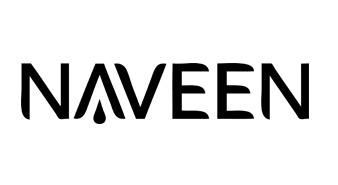 The brand I trust most. Usually I make overnight oats with fruits and they will be ready to eat in the morning as breakfast ! the oat is super fine and doesn’t taste so “powedery” or hard. texture and taste wise is just nice! I’ve been making oat as my dinner for quite some time. 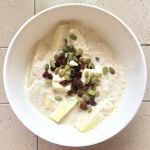 This oat is definitely a good option as it goes well with basically anything like honey, milk, grains and chia seed. I’ve been making overnight oats since a month ago to control my diet. 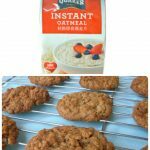 Did my oats with some granula and added Quaker’s Instant Oats for filling and better texture. 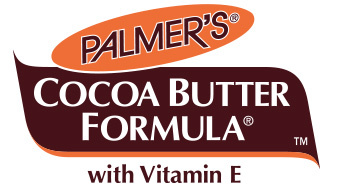 It never goes wrong with any combinations, tried out with Fruits, Cereal and Nuts! Cereal is rich in carbohydrate and that’s why many family choose Quaker Oatmeal Instant as their first choice. Besides, it is very effective in reducing the cholesterol level among the old people and thus helps in preventing cardiovascular diseases such as heart attack and stroke. It’s a bit rush in the morning. So I prefer to have something easier and convenient meal as my breakfast. I always having oatmeal in the morning, about 6-7spoons and it can last until 12pm. I no need to look for biscuits or other snacks during my working time. Its a healthy food & best taken for breakfast. It gives energy & make your tummy full like u take a heavy breakfast. I recommend this product to muslim for your sahoor.. This is just nice and healthy! I have it as my breakfast everyday! This is simple and healthy product for my breakfast since it only takes few minutes to prepare. It can mixed up with any foods I like such as strawberry, banana and almond and thus it could be a delicious breakfast. I have been consumed this oatmeal for the past ten years. Have been consumed this oatmeal for the past few years. This product is always my first option for breakfast as it only takes few minutes to prepare. It can match with any foods I like such as fruits, almond etc. It’s a healthy and delicious breakfast. 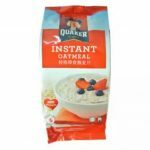 Saya mula mengamalkan Quaker Oatmeal Instant sewaktu menempuh alam perkerjaan yang mempunyai tempoh kerja yang panjang dan tidak memungkinkan saya untuk melakukan aktiviti sampingan yang lain seperti memasak dan bersenam. 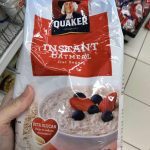 sepanjang tempoh itu Quaker oatmeal Instant inilah peneman saya untuk pagi dan malam iaitu bersarapan dan makan lewat malam. Yang uniknya sepanjang tempoh itu berat badan saya turun 3 kg setiap dua bulan. Saya mendapati sepanjang tempoh itu menu ini amat lazat dan berkhasiat serta mudah disediakan. 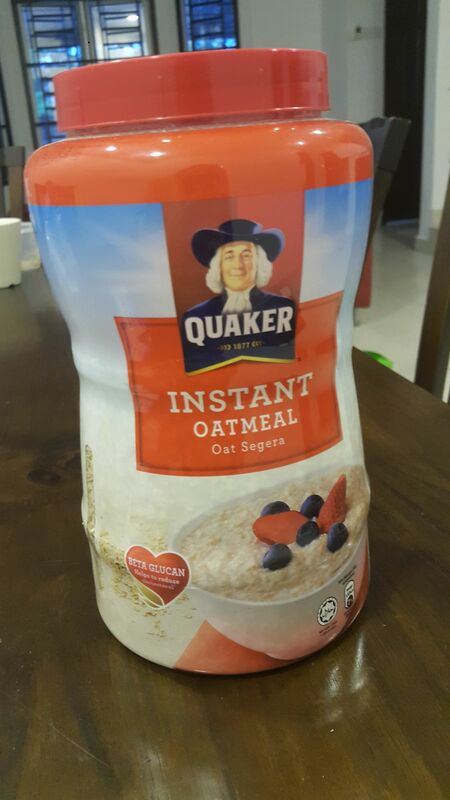 sehingga sekarang saya masih mengambik Quaker Oatmeal Instant ini kerana ianya bermanafaat untuk jantung saya. Seratnya juga amat mengenyangkan. 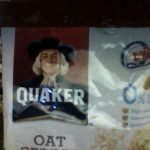 The Quaker oatmeal is very filing if you do not want eat healthy and lazy to go out for breakfast. It taste extra good when I add it with milo and chia seed to give an extra filling and taste who those who doesn’t like plain taste. 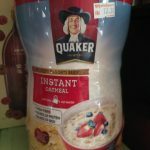 Quaker oatmeal has always been my breakfast on-the-go choice! I like to take oatmeal as my daily breakfast especially this brand. It helps to reduce my cholesterol level. I highly recommended to all of you who are seeking to have a good lifestyle. bagus untuk penghadaman dan rasa kenyang dengan lebih lama! I eat this for breakfast for past 10 years… It’s just simple and taste super double nice. It won’t take you a long time to cook it as its INSTANT, so its just take around 2-3min. It neither heatly but also save time. Again it cheap. How can u don’t get this for breakfast when it save time, save money and healthy. Don’t worry, it not a tasteless food, it’s just taste good with milk. TRUST ME AND TRY IT OUT. 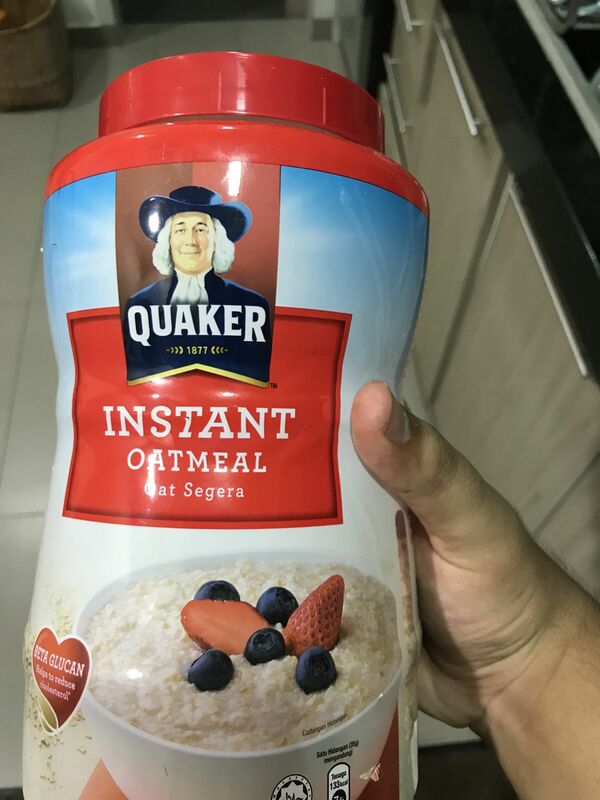 Quaker Oatmeal Instant makan bersama susu sarapan pagi memang kenyang.Diet seimbang dengan memakan Quaker Oatmeal Instant boleh membuatkan tubuh sihat senantiasa.Harga mampu milik.Boleh tambah susu jika mahu sedap. 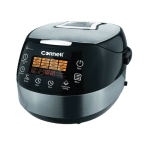 A easy and instant cooked daily breakfast meal suitable for young and old. No matter rushing or to enjoy. It helps to reduce cholesterol at the same time maintaining a healthy diet. Can buy for family. 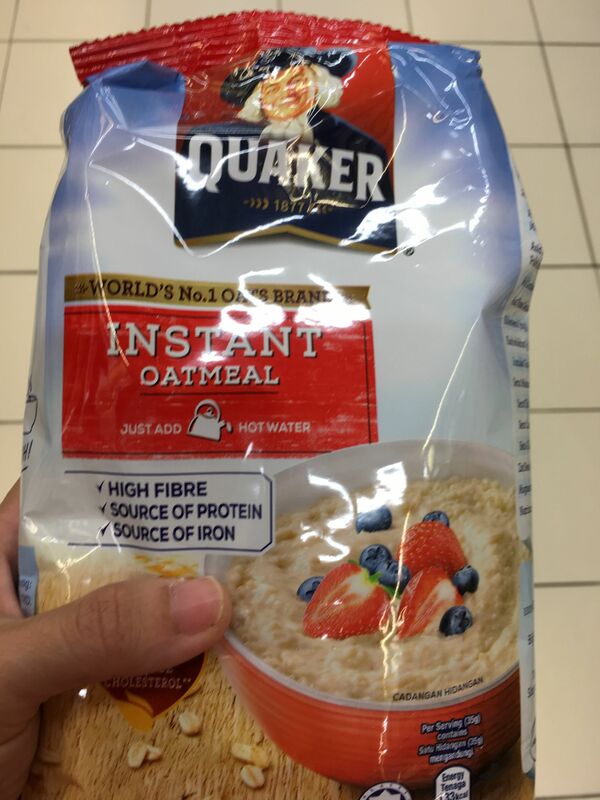 Quaker Oatmeal instant sangat memudahkan terutama buat si pemalas mcm saya. Bancuh dengan susu panas dan tambah kismis atau kekacang ajer dah kenyangkan perut sampai 4-5 jam! Terbaik..
一开始看不上眼的, 过后有读大家的review 试了后蛮喜欢的 味道不会太淡 早餐吃这个又能饱肚,有健康的早餐 推荐! 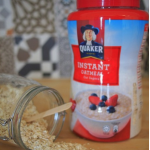 Quaker instant oatmeal is 1 of our favorite breakfast in our family every morning. It is a very delicious and healthy food to keep us have a very healthy body before we start our working and school everyday. The best oat ever.. 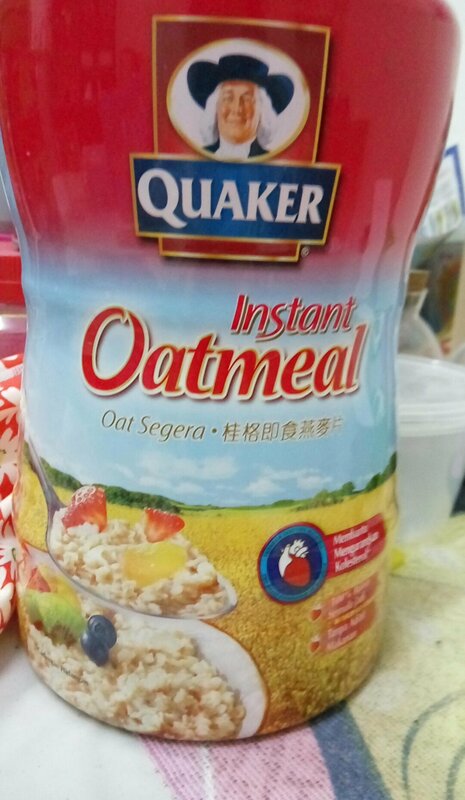 I love this.. Sangat mengenyangkan kalau perut kosong tu.. Satu lagi tak menggemukkan..
Quaker Oatmeal will always be my first choice for my breakfast. 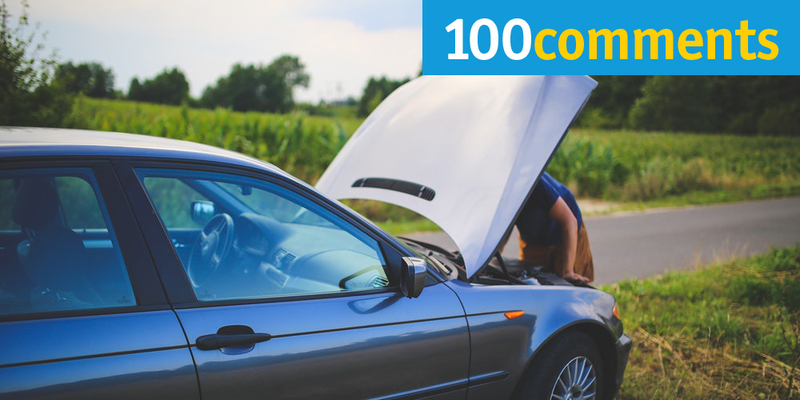 It is easy and convenient to prepare especially when you are in a rush to work or school in the morning. Add some raisins or bananas to have a sweeter taste and/or your favourite nuts to have a little crunch. Perfect way to start the day! Healthy food that help you to save money and make you feel full. 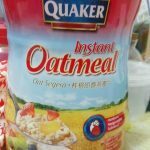 Oatmeal ini sering dijadikan makanan sarapan saya sewaktu saya belajar di universiti, semasa tiada makanan untuk tengahari dan malam juga saya makan oatmeal ini kerana memang amat mengenangkan. 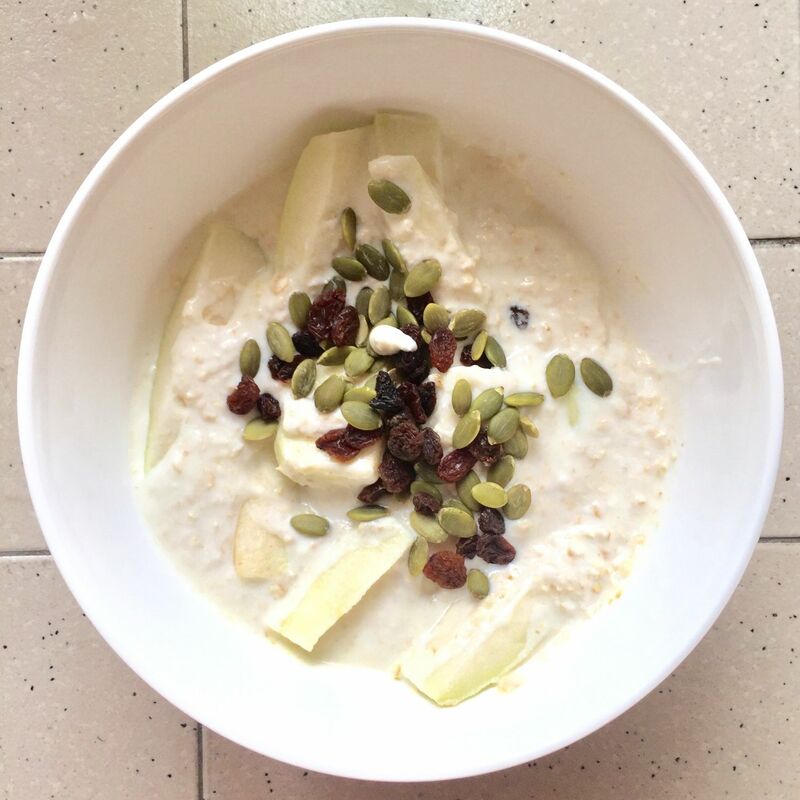 Akan tetapi, kekurangan pada oatmeal ini adalah rasanya amat tawar dan harap dapat menambah kemanisannya supaya lebih sedap. This is my all time favourite. Every morning just pour boiled water with it and it is a healthy meal. It is easy and convenient. It also a best meal for whom wants to lose weight. 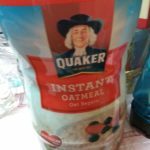 my mom eats quaker every morning as breakfast. This is a healthy food to start the brand new day. She wants to lower down her cholesterol level and helps digestive system. recommended! 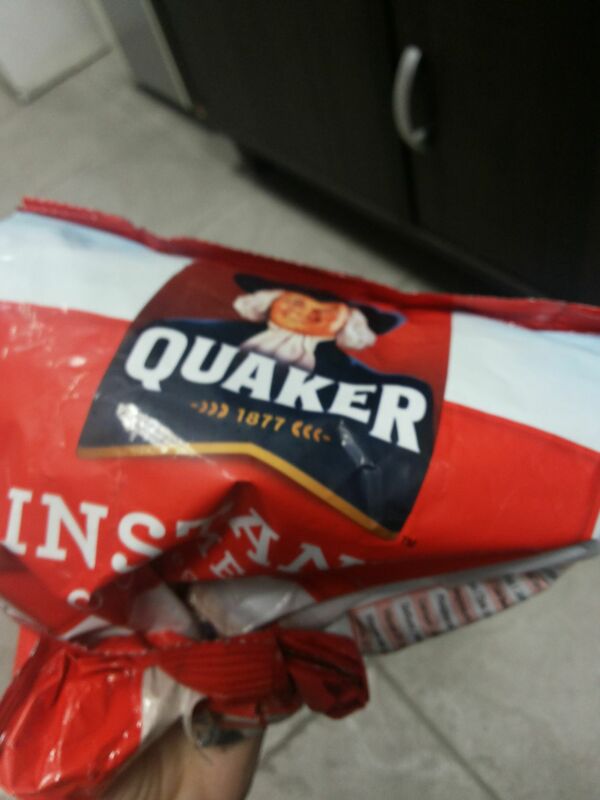 From all the oats I tasted, quaker is by far the best. And the instant one is so easy to make. Just pour hot water. For me i like to add some condensed milk for it to be sweeter. Some also put bananas, strawberry and other fruits. 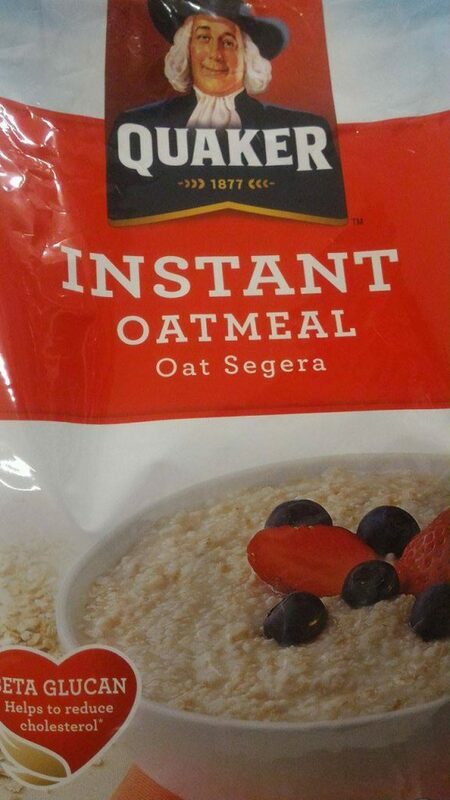 This instant oat is my best choice for my breakfast. fast and easy. my another options to enjoy this instant oat is make overnight oat + yogurt + fruits. believe me! 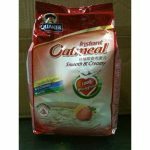 the taste is amazing after the oat absorb the taste from yogurt and fruit. This is really my all time favourite. Always drink this for my breakfast with some fruits and nut. And suitable to those who love to eat overnight oat! Really taste yummmmm! This is what i will definitely take for my every dinner ! I used to be a chubby girl…hating people keep on commenting on me saying me fat .But one day i found this ! you can have it with milk either plain water to just microwave just for few minutes ! this is absolutely easy and speedy when you’re out of time for your starving time ! This can also fulfil my stomach well .Good product ! Quaker Oatmeal is always my first choice to have it every morning. It is very easy and convenient to prepare. Not only that, it can help to lower down our cholesterol. It is suitable for all to consume. For the past few months, I have been on a healthy diet. I had high cholestrol reading and it is such a worrisome. My mother suggested me to add oatmeals in my diet routine. I have been trying so many brands so far and finally, I could settle for this quacker oats instant meal. It is easy to prepare, delicious and healthier. it is good to have it on its own or to add slices of banana into it. For the past few months I have been on a healthy diet. I had high cholestrol reading and it is such a worrisome. I was being introduced by my mother to add oatmeals in my diet routine. 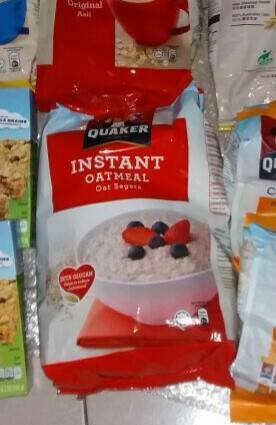 I have been trying so many brands and finally I could settle with this quacker oats instantmeal. It is easy to prepare, delicious and healthier. Sejak sekolah rendah lagi saya makan quacker oat ni sebab ia sangat mudah untuk disediakan, terutamanya di waktu sarapan. Selain itu ia juga mengenyangkan dan berkhasiat. Memang sedap sangat. Boleh juga ditambah dengan kismis atau buah. Oat is good for health and it also tastes good. I recommend this for anyone who are on diet. Your stomach will full just by eating oat. I prefer to eat it early in the morning and also at night. Good food ?? 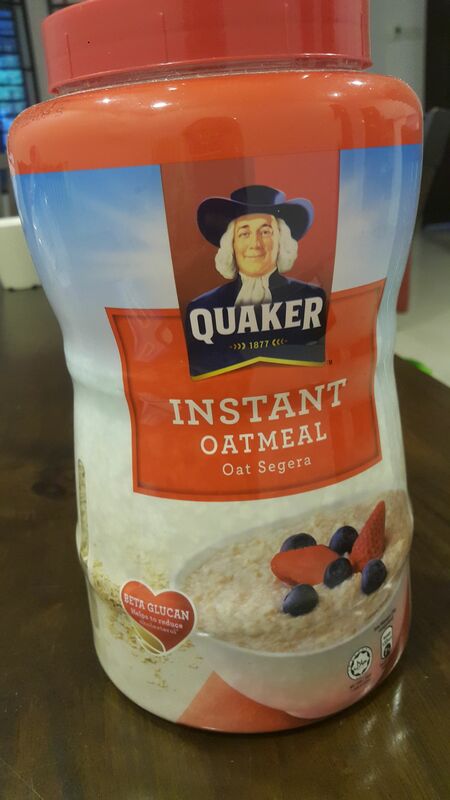 Saya sangat suka menjadikan Quaker oatmeal sebagai makanan sarapan pagi kerana quaker oatmeal sangat mudah untuk disediakan. 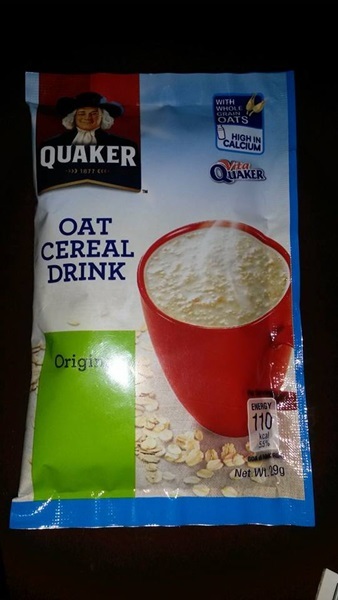 Saya hanya perlu tambah air panas kedalam quaker oatmeal dan ia boleh terus dimakan. Untuk menambahkan kelazatan, saya akan masukkan madu dan kismis supaya ianya menjadi sarapan yang penuh berkhasiat dan sedap. In order to achieve my healthy lifestyle i do take this oatmeal regularly. Easy to prepare just add in hot water and enjoy. 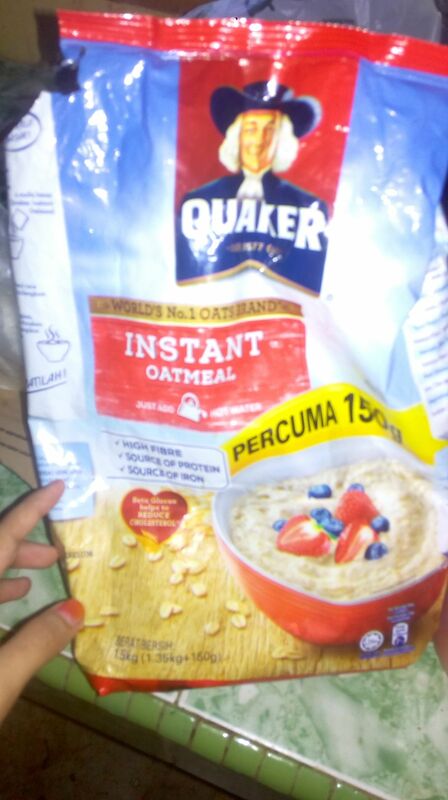 Eating this instant oatmeal also make my stomach full in a longer time. The oatmeal could be kept in a long time as it does not smell rotten. Most important is i can control my cholestrol level by consuming this oatmeal. Just do not over eat them. Add water to the right amount that you could eat only right before you want to eat. Don’t put too much as it expand well. Overnight oats also great. Save money, save energy and be healthy. Keluarga saya mengamalkan pemakanan oat ini untuk mengurangkan kolestrol dalam badan. Setiap malam sebelum tidur kami akan makan oat sebagai alas perut kerana kami tidak mengamalkan memakan makanan yang berat pada waktu malam. Oat memamng sesuai untuk mereka yang tidak mahu makan malam kerana oat ini sudah cukup untuk mengenyangkan perut. A healthy food which are good taste and easy to cook. I really love this. A whole bottle can eat a month and just two spoons is enough for my breakfast. Even my grandpa also eat everyday. Every morning breakfast with milk. This is healthy and can make me full. 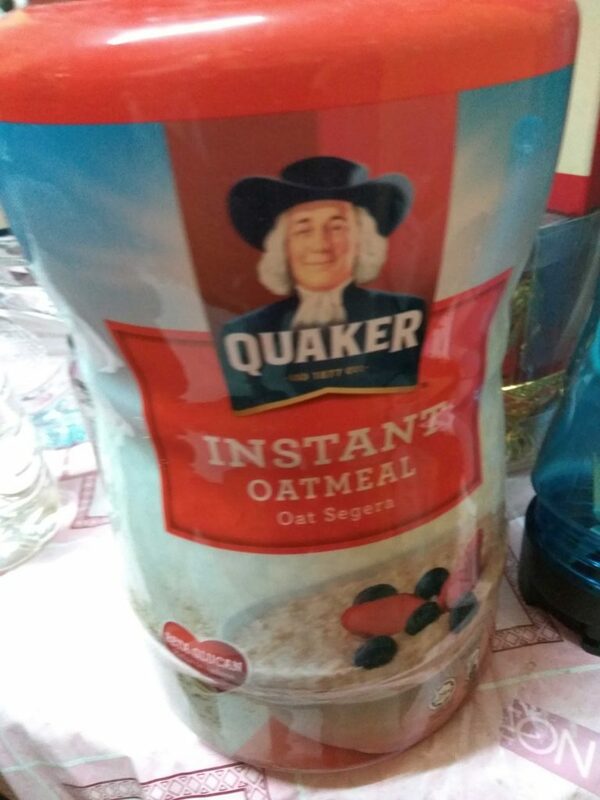 I always support Quaker Instant Oatmeal. It’s is the healthy meal in my life. 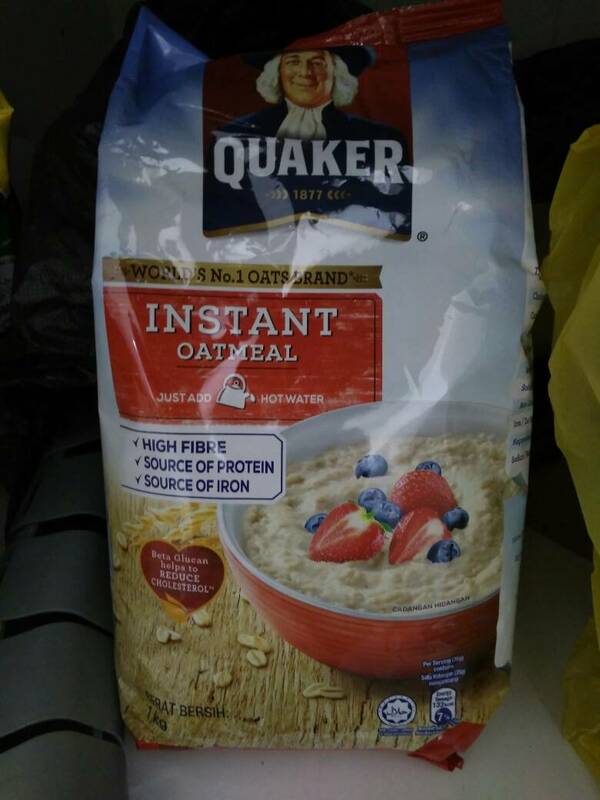 I loss 5 LG because of Quaker Instant Oatmeal! It’s always my first choice! A good and healthy breakfast for me and my family everyday. 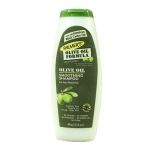 I will buy this when there\’s a promotion. And my mom did the same. How I prepare my breakfast? I will add in milk, Chiaseed into it. This makes it even more yummy and delicious. 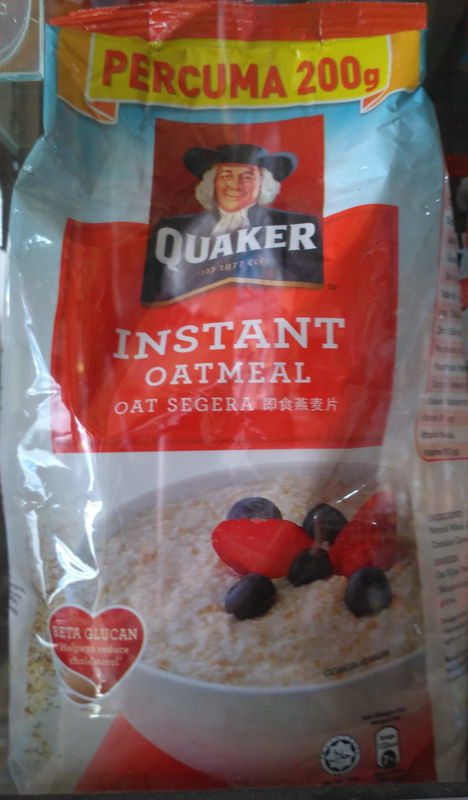 Hari saya akan lebih bermakna apabila saya mengambil Quaker Oatmeal Instant semasa sarapan pagi saya. Penyediaan yang ringkas tetapi mampu memberikan tenaga yang cukup untuk keperluan badan saya supaya saya lebih cergas untuk melakukan aktiviti harian. Didatangkan dengan bijirin penuh dan baik untuk kesihatan jantung jika diamalkan. Dengan harga yang berpatutan, saya tidak kesah untuk membelinya setiap kali stok saya habis. Kerana kesihatan jantung saya lebih penting. 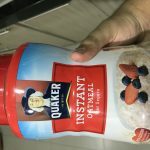 Quaker Oatmeal Instant menjadi produk terbaik untuk kesihatan jantung saya. It can be served as your breakfast and it is perfect to fulfill all the nutrients that we have to consume daily. It is perfect for the one who wants to lose weight or control weight. You don’t need to starve to lose weight by having oats. Being eating this every morning as my breakfast. 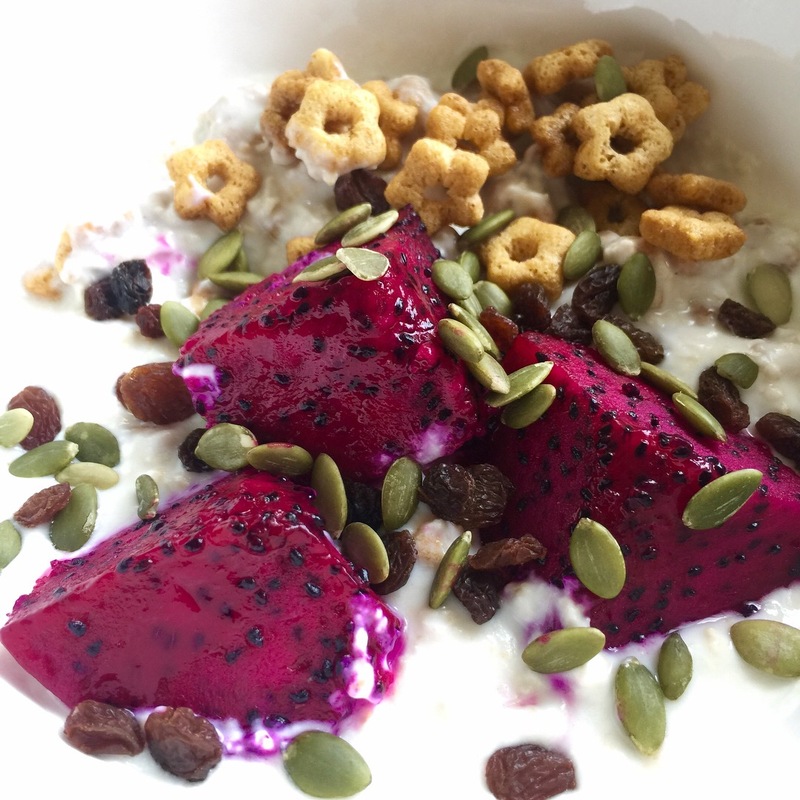 Would want to be more healthier so I decided to start my oat breakfast 2 yrs ago and it tasted real good. Love how the smells and taste not too artificial or fake. 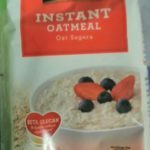 This instant oat not just able helps to lower down high cholesterol and yet it is so convenient for everyone who is having busy lifestyle as their breakfast. You can either just eat on its own by adding milk or add raisins and fruits together. Definitely suitable for all ages. Saya suka oat nie. Senang dimakan cuma bancuh air panas. Healthy breakfast cereal all the time. I truly fall in love with this oat. It’s save my time and convenience just only a few step in 3 min done my breakfast everyday. Highly recommended! 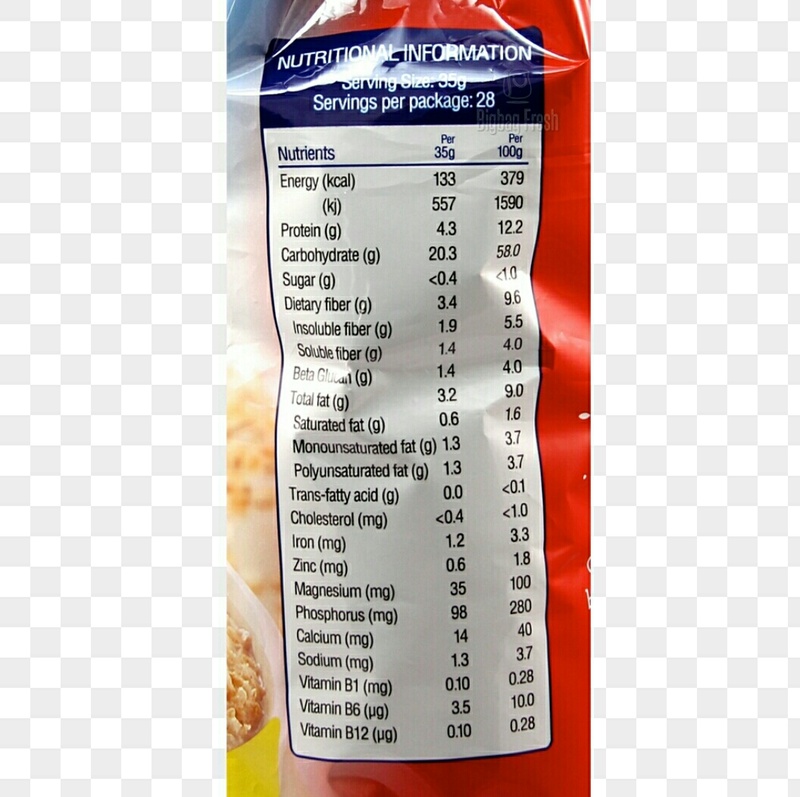 Quaker oat ni bagus untuk sesiapa yang diet. Kalau sebelom pergi gym boleh makan 2-3 sudu bersama air panas mampu memberi tenaga untuk mengangkat berat. 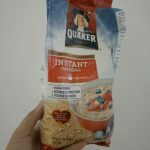 Untuk sarapan pagi, anda boleh buat “overnight-quaker oat” dimana anda hanya perlu letakkan air biasa bersama buah-buahan dan disimpan selama satu malam dan boleh dimakan begitu saja pada esok hari. Ianaya begitu sedap kerana jus dari buah yang di letak bersama akan memberikan rasa manis kepada quaker oat tersebut. It is a very good fiber meal. We can consume it with fruits, nuts or raisins. We can cosume it anytime. Quaker Instant Oatmeal Raisins & Spice reminds me of the stovetop oatmeal my mom used to make me every morning before school. Each fewer than 160 calories, Quaker Instant Oatmeal Raisins & Spice is quick and easy to make and keeps me full until lunch. Been consuming this for 7.5months now. It does help me with my healthy diet and building muscle since I hit the gym everyday. Most recommended for those who are planning to start a healthy diet. This product it’s a must-have in your diet plan! Healthy and yummy even just eat it plain. 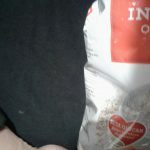 It can also use to make overnight oat, bake oat cookies and etc. This is my breakfast every morning, this is very healthy, I like to mix with milk to drink. It gives me energy every morning. Besides, this is affordable and easy to get it. 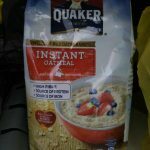 Quacker oatmeal instant is a quick breakfast on the go. As a mom, I need to get an instant energy in the morning to start a day. Just add 2-3 generous spoon of quacker oatmeal into my favorite milo, horlicks, or milk together with hot water. I will get full easily until lunch time. It is quick, easy, and healthy. 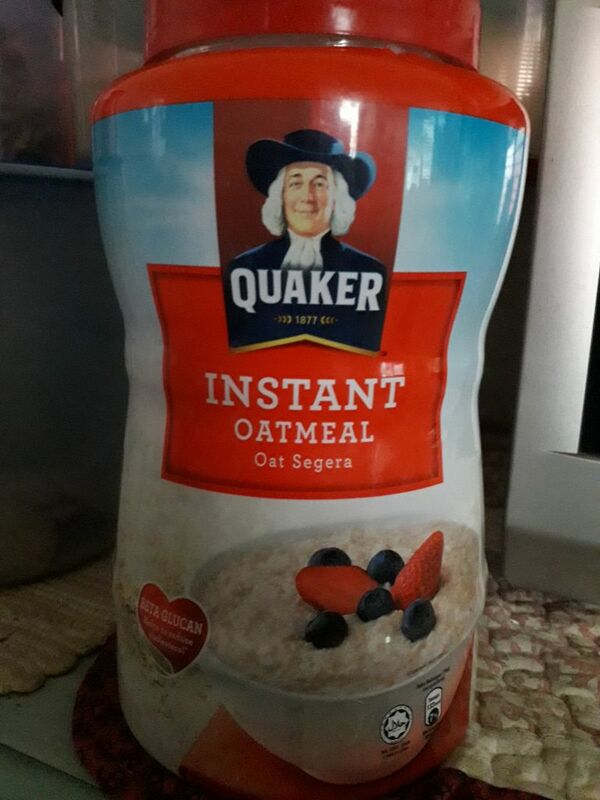 Saya memang suka makan Quaker Oatmeal Instant kerana product ini sangat sihat untuk badan. 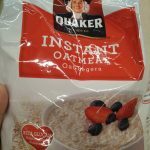 Quaker Oatmeal Instant dapat turunkan cholesterol badan dan hal ini membolehkan saya bebas daripada tekanan darah tinggi. 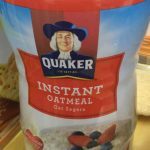 I use this instant oat to make my quick breakfast. I mix it with my fresh milk and add 2 scoops of instant oats and blend it. Then drink it immediately. Quick, no hassle and satisfied breakfast. My family favourite choice of drinks. It helps to lower down cholesterol. It is also a great source of fiber for my family as it can relieves constipation and improve the movement of bowl. 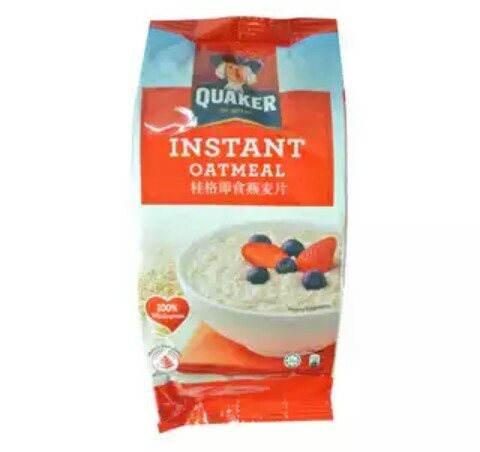 Saya suka dengan Quaker Oatmeal Instant ini kerana mampu mengurangkan kolestrol sekaligus menjaga kesihatan keluarga saya.Paling sedap bila buat overnight oat. 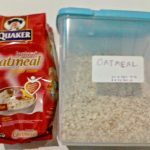 Harga berpatutan dan mudah didapati.Sesuai dengan pesakit jantung dan badan yang mempunyai kolestrol yang tinggi mencuba setiap perincian khasiat yang terkandung dalam Quaker Oatmeal Instant.Harga mampu milik.Sedap dan berkhasiat.Terbaik. My whole family having this oats meal for our breakfast. Especially it very suitable for my father cause he having diabetes, the oat meal can replace the bread. 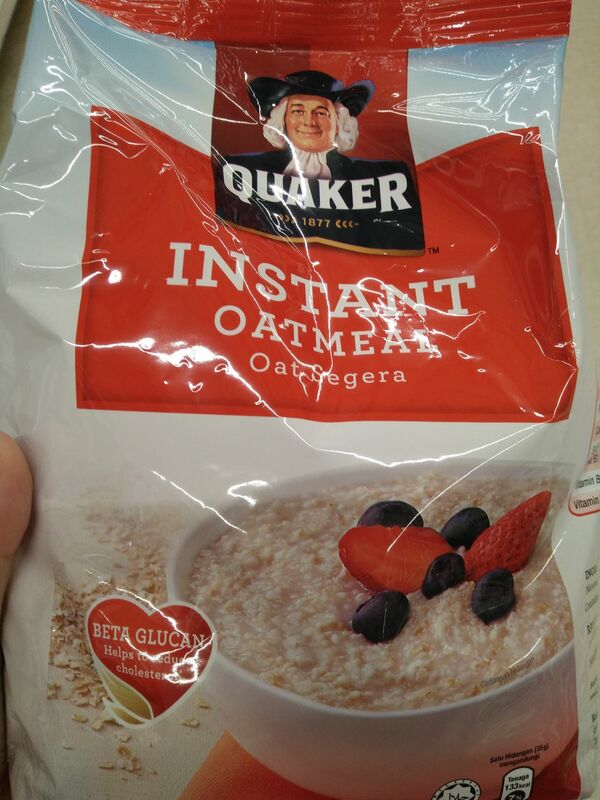 I eat Quaker Instant Oatmeal to start my day every morning. 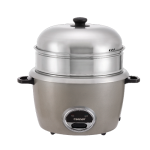 It is very convenient as I can just cook it by using hot water and it can be eaten in a short time. I normally make a cup of Milo and put some oatmeal into it and they taste really good together! Besides, Quaker Oatmeal is healthy for ur as it lowers our cholesterol and helps in reducing risk of heart disease. Furthermore, it makes me feel full. 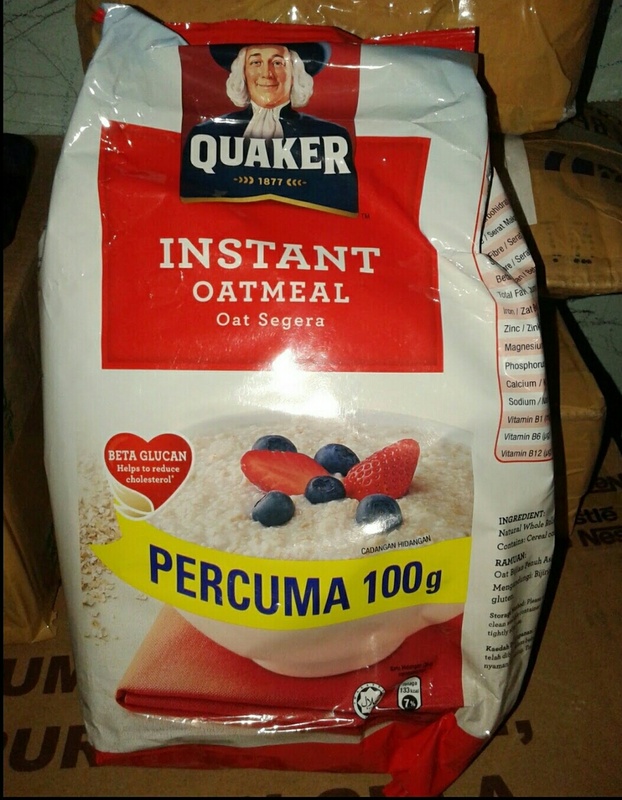 Quacker oat adalah pilihan saya sekeluarga. Makanan bijirin yg rendah kolestrol, sesuai dijadikan sarapan pagi mahupun makan malam. Juga boleh dimakan sebagai pengganti karbohidrat utama seperti nasi. Mudah disediakan bersama susu dan juga campuran buah-buahan kering seperti strawberi dan kiwi. Makanan yang terbaik..kami sekeluarga makan quicker oat dari kecil..
whole family and can eat any time. It is also good choice for people who want to diet. I ate Quaker oats for my breakfast and sometimes for dinner. 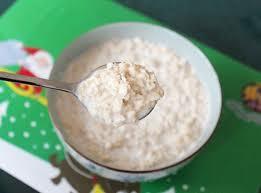 I ate oats to make me healthy diets, oats can make us full and healthy, easily to absorb by body. So I maintain it long times. 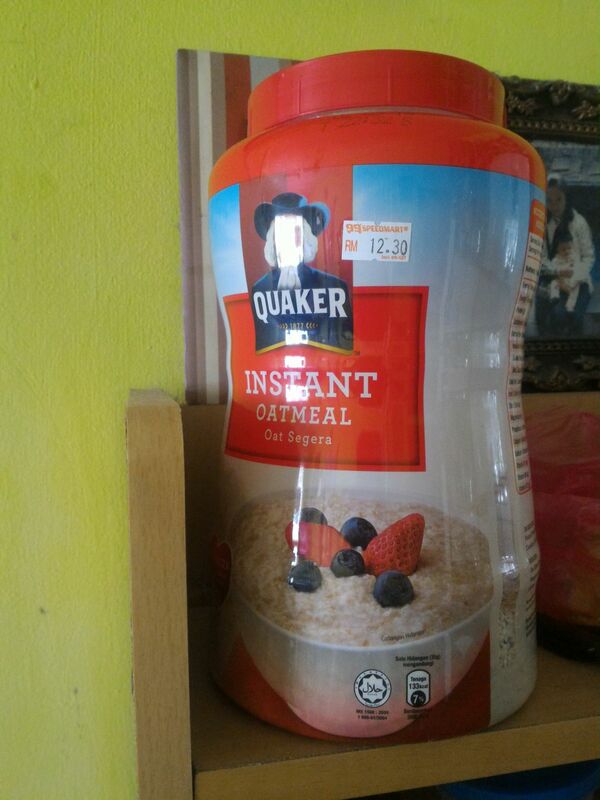 Since my 15 years old, I had ate the quacker instant oatmeal as my breakfast. Besides, i think it is health and faster breakfast. This is because it dont need to cook the oat and just pour some hot water can already. However, most of the time i will add some nuts and fruits together. Hence, it can let me more full until my lunch time. Furthermore, all my family members are quite enjoy and love this oatmeal. 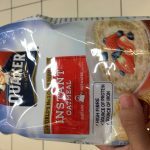 Quacker oat sangat membantu Saya dalam menyediakan bubur anak saya.tekstur nya yang mudah ditelan telah menjadi kegemaran anak kecil saya.saya mengolah oat dengan sayuran dan buahan.sangat senang dimasak tidak memerlukan masa yg lama jimat masa dan tenaga. Thank you for producing a good quality oats because it helps my mom which is in a food diet to consume every morning. It is also diabetic-friendly. 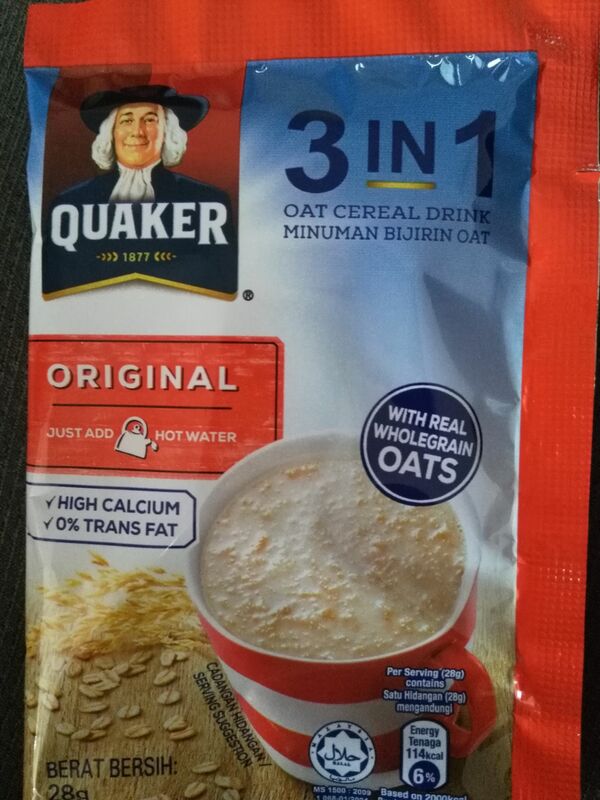 Memang tidak dinafikan quaker oat ni memang makanan untuk kesihatan dan baik untuk jantung. Tapi saya tidak gemarkannya. Sedap memang sedap tapi saya tidak berapa suka dengan oat yang terlalu kasar. Tu je..
Setiap pagi saya amalkan ambil oat bersama2 sebagai sarapan. 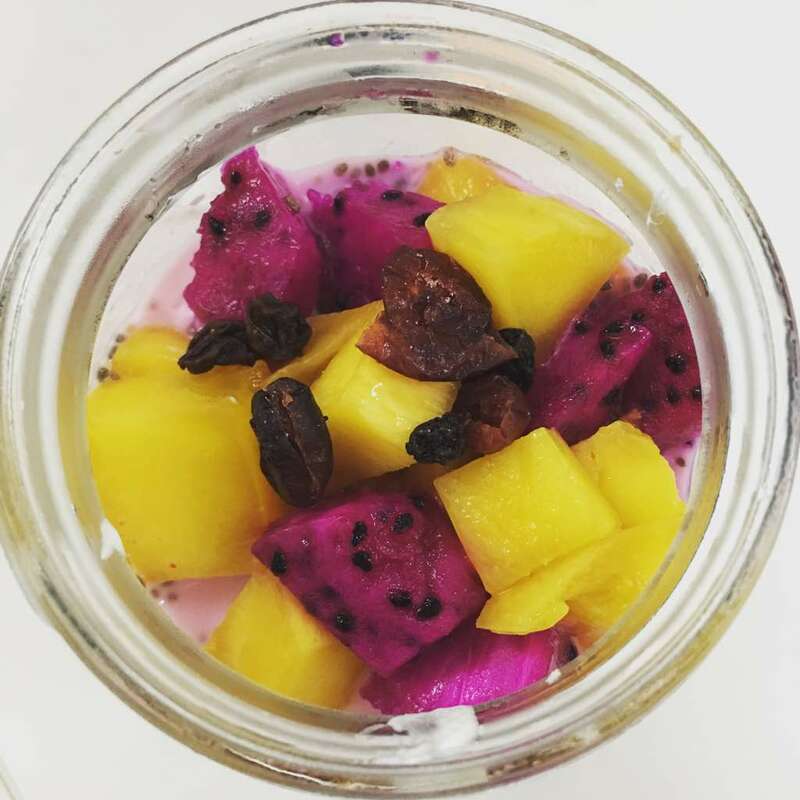 Kadang kala makan bersama potongan buah. Ada yg saya buat biskut oat. Paling kerap saya tambah sedikit oat segera ni dalam minuman bersusu seperti milo. Ia sedap, berkhasiat dan.mengenyangkan. Saya dapati bila amalkan oat setiap hari buang air sy semakin lawas. Paras kolestrol juga semakin maintain aras sihat. 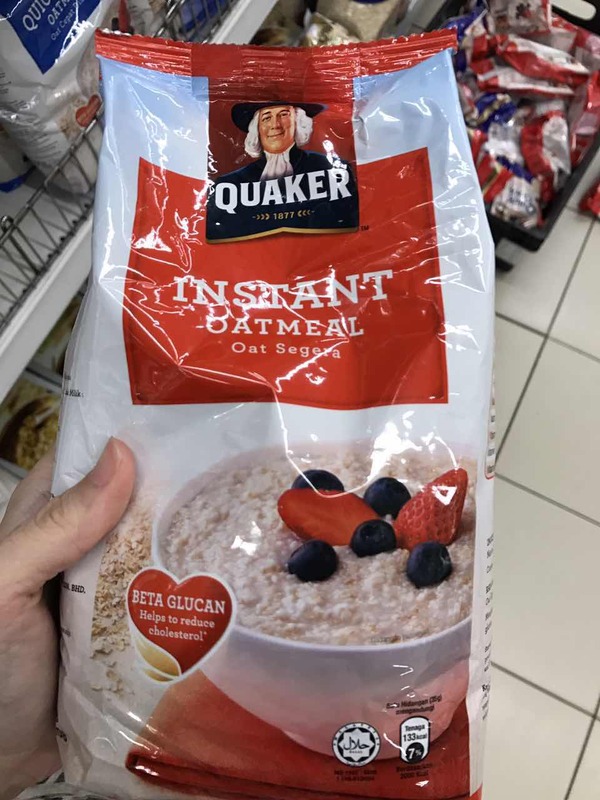 Quaker Oatmeal Instant ini sangat berkhasiat dan boleh mengenyangkan saya bila diambil pada waktu sarapan. Ianya mudah disediakan dan lebih enak jika ditambah dengan susu dan buah-buahan. Boleh juga digunakan dalam masakan ataupun dicampur dengan yogurt. Very easy to cook and nice taste. You may add some fruit to level up the taste. Highly recommended for those who has high cholestrol level as it will reduce cholestrol in few weeks. Senaang,cepat serta mudah di masak.Boleh dijadikan sarapan pagi atau malam.Kalau nak berdiet memang sangat sesuai. Has been eating oatmeals since young. Simple and easy to be cook. Good for those who plans to have a healthy diet. Has been eating oats for my lunch and dinner. Oatmeals can be eat with the mixture of fruits & assorted nuts for a better taste. 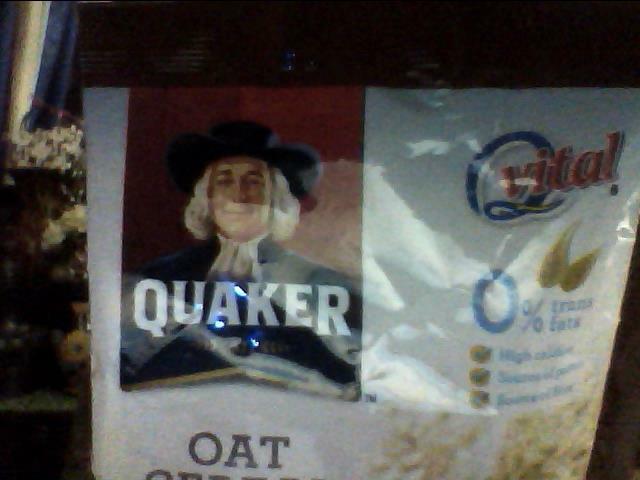 Quaker is my choice for breakfast and dinner always! Sometimes, I just want to have a light dinner. I will mixed Quaker oat with milk and put into microwave for few minutes and take it as my dinner. This is so simple and yummylicious! This is the best breakfast that i can have in the morning and it is easy to prepare with just pouring hot water. After eating it, it makes me feel healthy than taking oily food in the morning. My favourite Oat Meal of All Time. The greatness of imported Canadian oatmeal just make this a perfect health product. It’s soluble and insoluble fiber allows me to digest food smoothly and it really improves my health. In conclusion, It taste great with dairy products and having this daily will make me a healthy person. 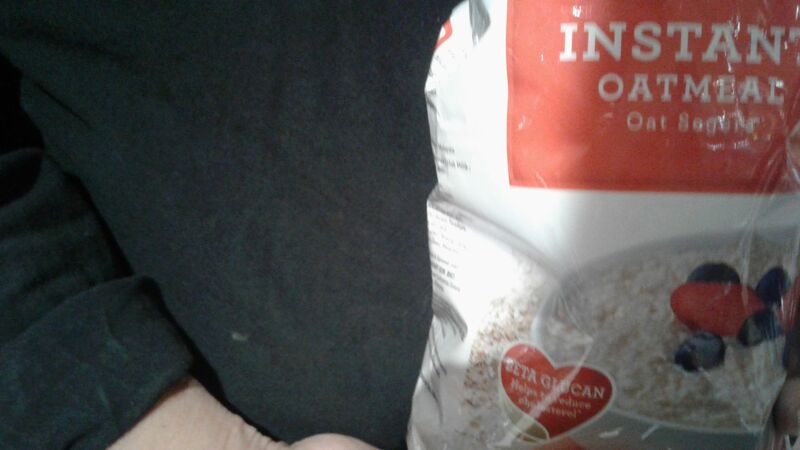 sebelum ni saya hanya makan nesturm instant saj,tapi untuk diet dan mengenyangkan saya mencuba quaker oat sebgai ganti..sya tidak berapa boleh menelan mungkin sebab pertama kali saya mencubanya..saya perlu menambahnya dengan buah buahan dan milo untuk menelan..
Oat segera ini merupakan makanan sihat. Dimakan sebagai sarapan bersama susu, milo, coklat, buah dan sambal. Cepat disediakan cuma tambah air panas dan boleh dinikmati. Cepat kenyang dan lawas buang air. Selalu makan oat ni perut tahan kenyang dalam.waktu yg lama. Bagus juga untuk penyerapan kolestrol. Tak disarankan untuk ambil dalam kuantiti yg banyak kerana akan membuatkan rasa mual kerana oat ni cepat kembang. Biasanya saya akan buatkan sarapan yang paling ringkas dan mengenyangkan dan Quaker Oatmeal ni sangat senang digunakan dan menjimatkan masa saya didapur. The Quaker Oatmeal is very healthy. It contains nutrients which is good for heart and cholesterol. I always make this cereal in office as my breakfast. I feel full after drink a cup of cereal. It is so convenient and easy to prepare. 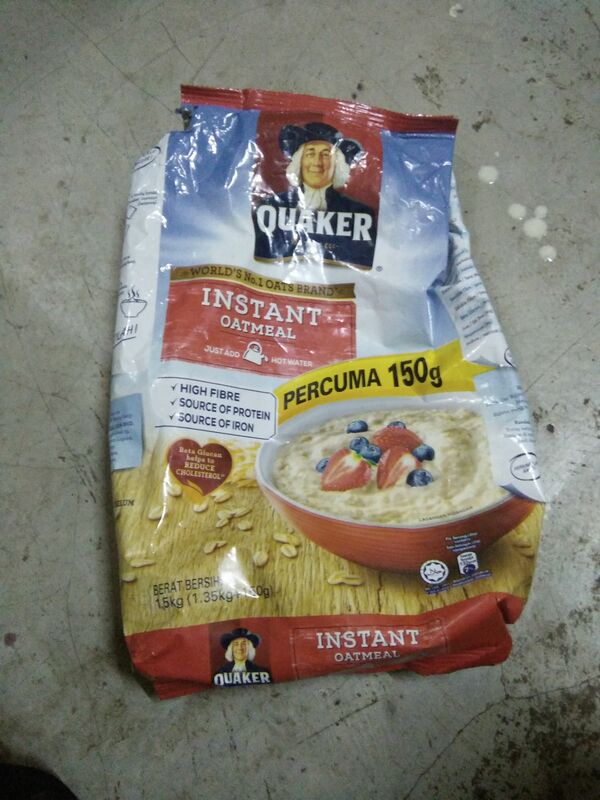 Saya menjadikan quacker oat sebagai makanan pelengkap bayi saya.hanya olah dengan sayuran dan lauk sangat sesuai untuk bayi saya.bubur oat yg sangat mudah disediakan. 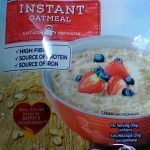 Generally a great breakfast food, these instant packets have been lifesavers on long hikes as they’re easy to carry, and don’t take much to make. They’ll give you the fuel you need, and are also delicious! The variety pack has at least one flavor that appeals to everybody, so it’s the best way to keep your happy campers happy! 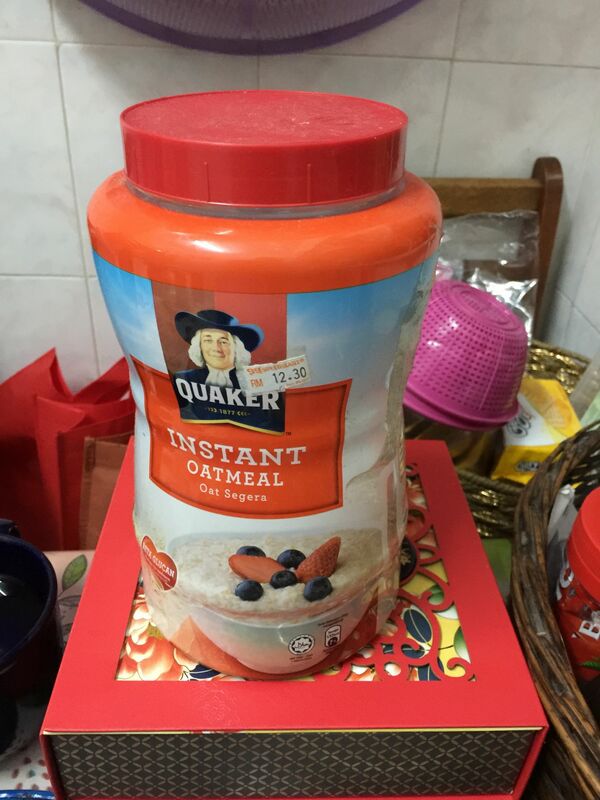 SEBELUM PERGI KERJA SAYA AKAN PASTIKAN PERUT SAYA TERISI DENGAN KHASIAT Quaker Oatmeal Instant DAN SAYA AKAN RASA LEBIH BERTENAGA DIWAKTU BEKERJA. Quaker Oatmeal has been my daily morning breakfast. 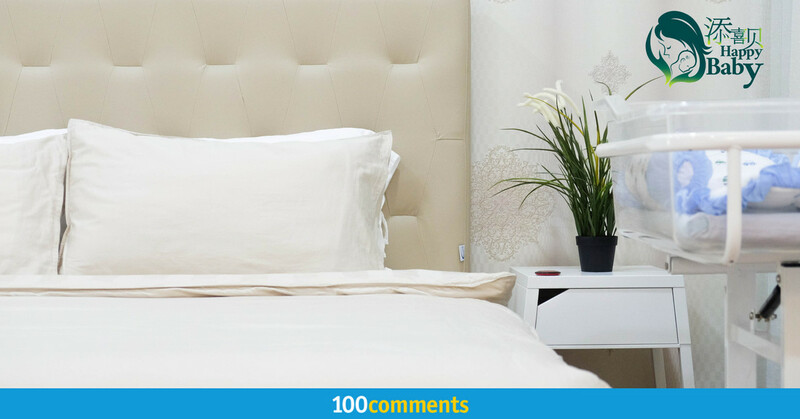 It is very convenient especially for those whose rushing for work or to school as it is very easy to make. Just a few minutes and it is ready to serve and had a healthy morning breakfast. You can add on some fruits if you want too. Quaker Oatmeat Instant memang sangat terbaik untuk kesihatan..Ia amat kaya dengan nutrisi..Selain itu ia juga mempunyai pelbagai variasi perisa..Penyediaanya juga amat mudah dan cepat..Amat sesuai untuk sarapan,boleh mengenyangkan sehingga waktu makan tengahari..
Makanan yang mudah disediakan. Penyediaan yang tidak memakan banyak masa. Memberikan kekenyangan kepada perut dalam tempoh masa yang panjang. Bagus juga untuk diet sihat. 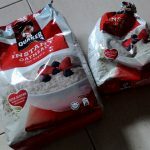 Mmg saya sentiasa makan semankuk Quaker Oatmeal setiap pagi sbgai sarapan sebelum kerja krn ia mengenyangkn..rasa kenyang juga tahan lama..ia juga baik utk kesihatan jantung & tubuh badan dngan kebaikan oat..mudah disediakan..kadang saya tambah hirisan buahan segar,lebih sedap. 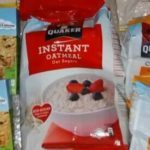 Quaker Oatmeal Instant adalah sarapan untuk saya sekeluarga. tambah Milo atau Kopi terus boleh makan. 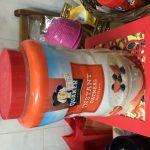 Saya menghidap kencing manis dan darah HB yang rendah semasa hamil, doktor saran kan pengambilan Quaker Oatmeal Instant sebagai makanan diet kerana mengandungi zat besi dan sumber nutrisi yang baik. Saya telah mengkonsumsi produk ini sejak hamil 4 bulan, hingga kini usia kandungan telah masuk 7 bulan. Memang nampak perubahan, berat badan terkawal, kencing manis terkawal dan darah HB juga diparas normal. 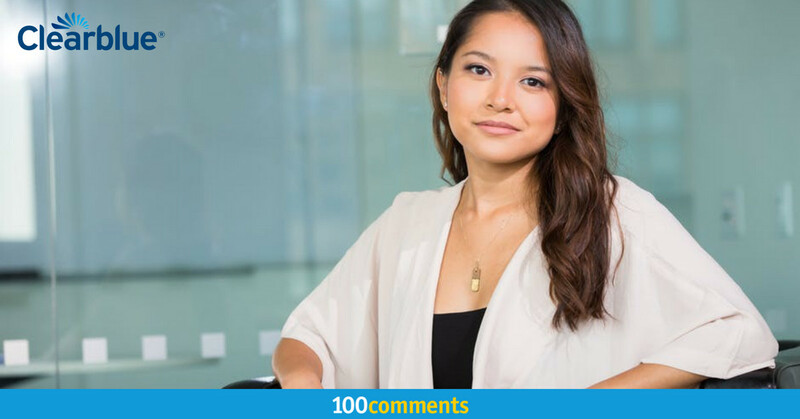 Isteri saya sedang hamil sekarang dan mempunyai golongan darah HB rendah, setelah mengamalkan Quaker Oatmeal Instand bacaan HB semakin baik dari 10.8 ke 11.4. Saya sangat mengesyorkan produk ini kepada ibu-ibu hamil yang mempunyai masalah HB rendah, boleh mencuba produk ini. Minum bersama susu yang biasa anda minum semasa hamil. Sometimes I decided to start my diet. This is the must have food in my menu as it can replace rice. 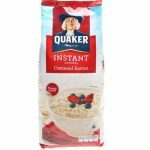 Quaker oatmeal ini adalah kegemaran dan pilihan suami saya ketika dia hendak menurunkan berat badan. Rasanya sedap dan mudah disediakan. Harganya juga berpatutan dan sangat bagus diamalkan untuk orang yang mempunyai kolesterol tinggi. 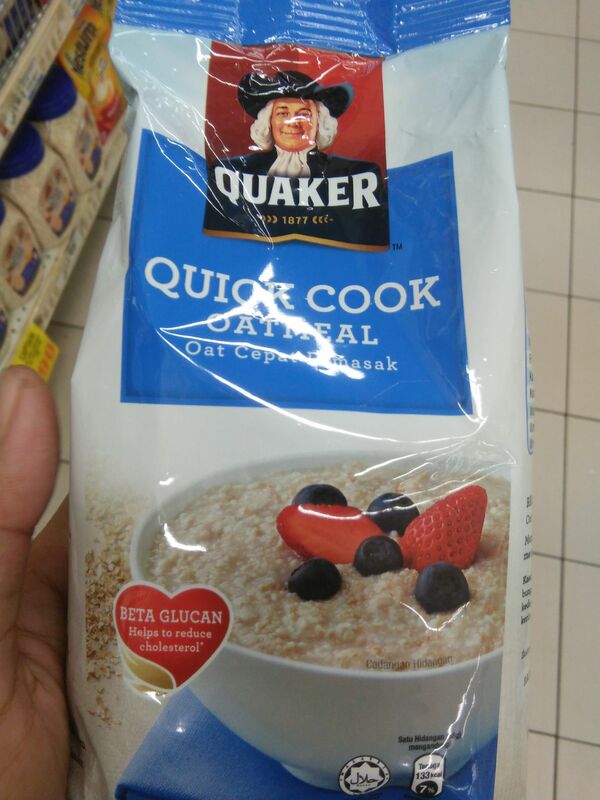 Sejak dari zaman belajar lagi sudah amalkan makan quaker oat. Sangat mudah disediakan. Saya gandingkan dengan pelbagai bahan sampingan dan ada kalanya seperti oat menggantikan nasi bagi saya. Perut terasa kenyang selepas makan oat ini. Selain boleh dimakan dengan bahan sampingan lain oats ini juga saya campurkan bersama minuman terutama minuman sarapan pagi. Oats ini juga boleh diolah menjadi biskut yang enak dan sihat. 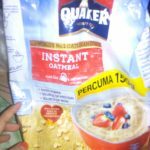 Sejak menghidap masalah jantung,ayah sy perlu mnjaga pemakanan.Sejak itu juga sy mmberikan Quaker Oat sbg makanan harian kpdny krn Quaker Oat membantu menyehatkankan jantung dan hati karena mengontrol kolesterol.Ia juga adalah makanan yang sangat menyehatkan dan harus dikonsumsi oleh penderita penyakit jantung.Pemakan juga akan merasa lebih kenyang dan rasa kenyang itu tahan lama.Selain itu ia juga mudah disediakan. and I have to stay energetic all time too. and before go to bed. really love the texture, not too fine not too coarse. 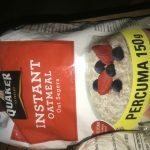 Bijirin oat pilihan saya setiap hari..Kaya dengan nutrisi dan khasiat yang baik untuk kesihatan..Ia juga dapat mengenyangkan dan salah satu makanan saya ketika bersahur..Anak2 juga sukakan rasa dan aroma Quaker Oat ini..
this instant oat is very easy to served. Just add some in my coffee it will do. 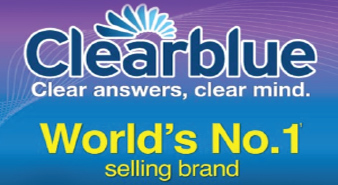 can help to reduce cholesterol, healthy and easy! I use this as a quick go-to snack at the office to battle hunger pangs. I add in some dried fruits and nuts along with the oats into a container and when I’m hungry, I just add boiling water. 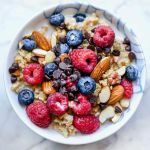 There are many add-ons you can consider to make it exciting but my favourite combination with Quaker Oatmeal Instant are dried apricots, dried cranberries and sweetened cacao nibs. It is my parent’s favourite oatmeal. They like to take it during breakfast or supper. 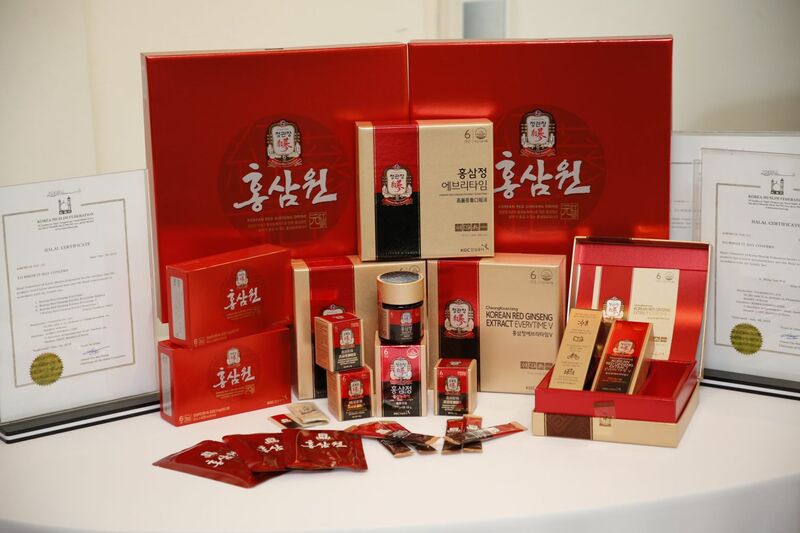 It can help to lower down my parents’ cholesterol, provide nutrient to their body and it is convenient to prepare. SARapan yang best, sesuai untuk saya sendiri yang tengah berdiet! memang memberi kekenyangan maksimum! 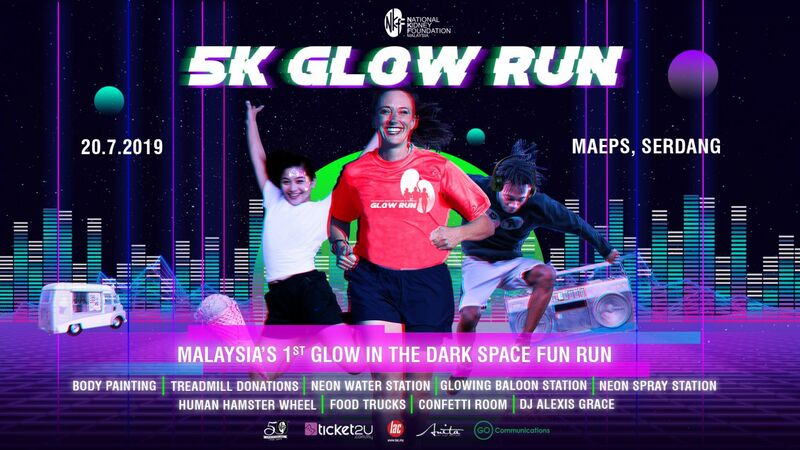 rasa pown leh tahan. 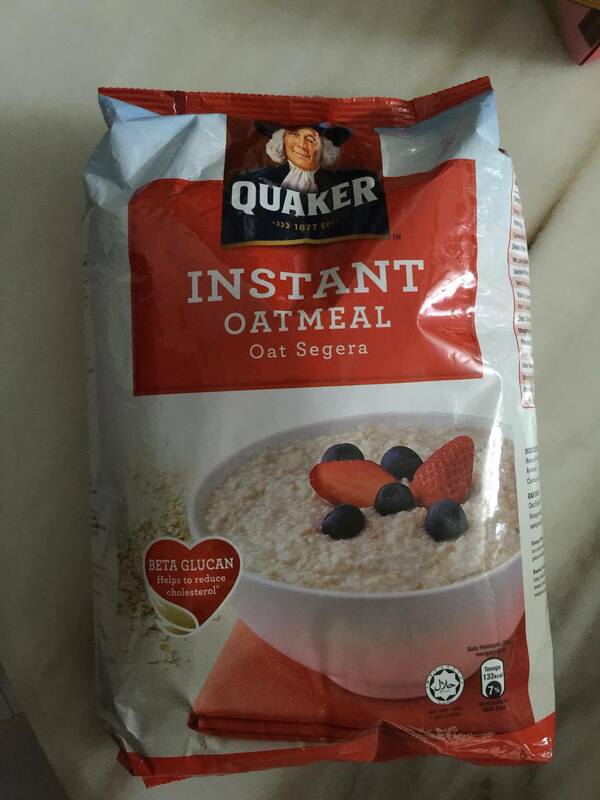 Quaker Instant oatmeal sangat sesuai bagi individu yang sibuk kerana ia cepat dan mudah disediakan serta bagus untuk diet harian anda. 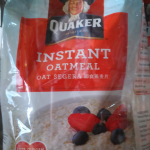 Quaker Oatmeal Instant is my daily breakfast since my university life. 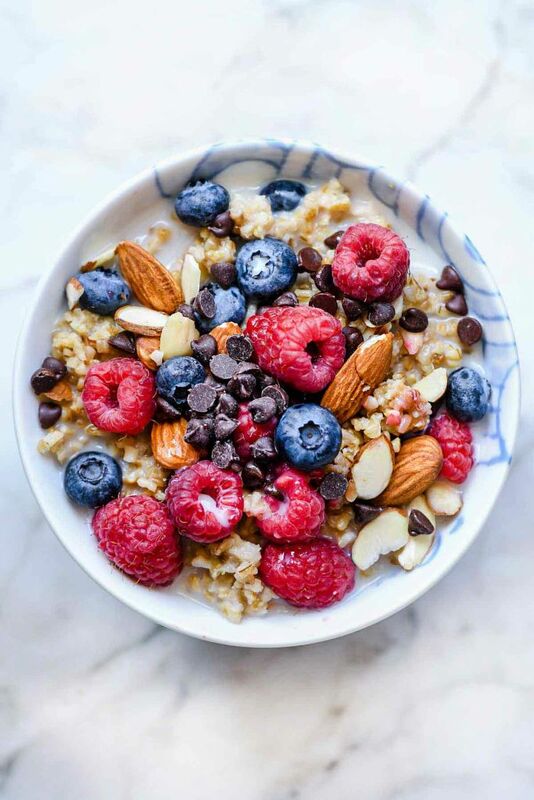 If you want to have a healthy and full breakfast, you can try the oatmeal. Just boil the water and pour it on the cup that full with oat. Add any drink flavor that you like, for example Milo or milk together with the oat. Close the cup and wait for around 10 minutes for the oat to be cooked. Then you can enjoy the breakfast with biscuit. I take this as my breakfast to reduce cholesterol. But honestly the taste is not really good, for healthy I will continue to take it. haha! 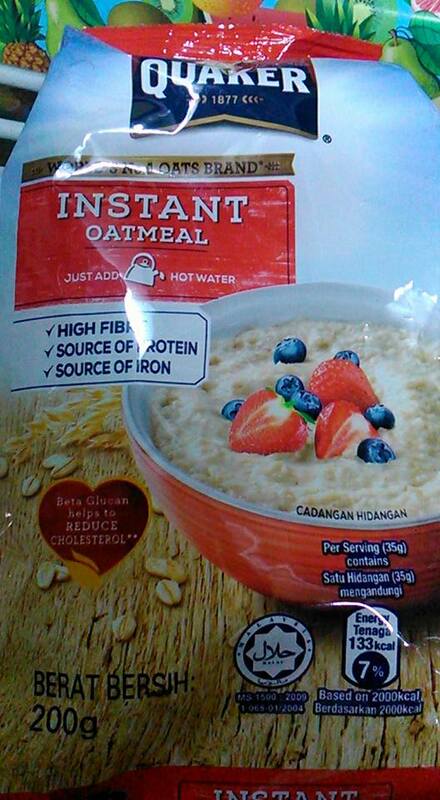 I tried this for my overnight oatmeal before, this is not bad. 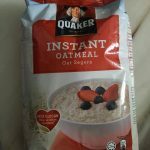 But I still prefer to use rolled oats instead of this instant oat. Anyway, this is an ideal drinks for every one who wish to reduce cholesterol. 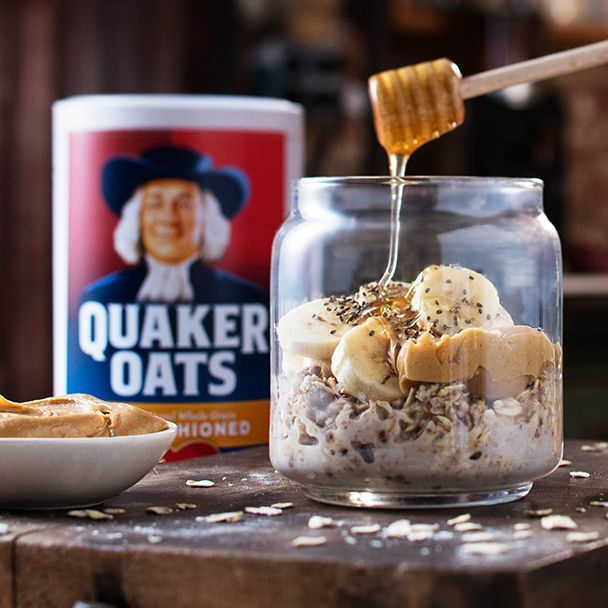 The healthy beginning with Quaker Oats. Trusted by mom’s. A genuine product. 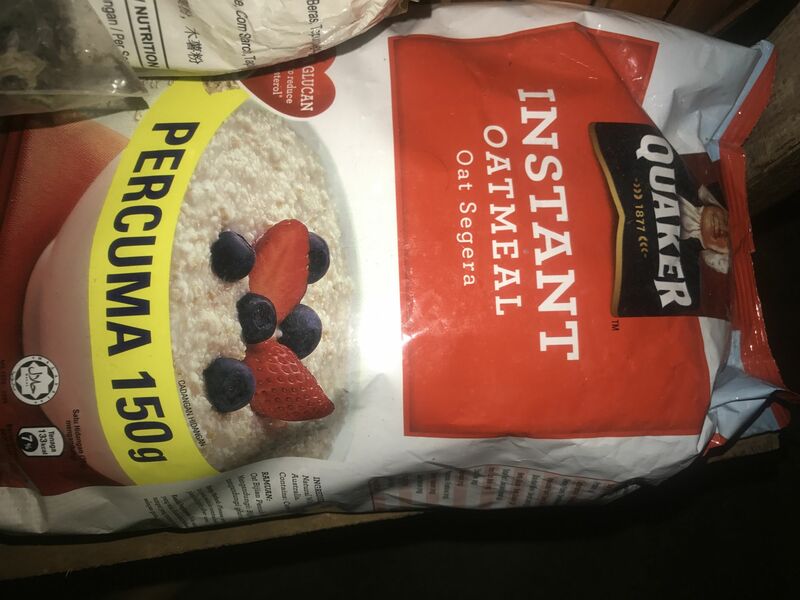 when night i free i will prepare the oatmeal for tomorrow morning breakfast i will use this brand Quaker Oatmeal , just add milk , fruit and some Quaker Oatmeal and keep 1 night already can eat and can reduces my cholesterol level . Every morning, I will prepare a bowl of oats for husband. He loves this brand and took it with milk and sometime will add in fresh fruits. Nutritious and healthy breakfast everyday. Every morning my day start with a bowl of oats and two bananas. After trying every brand I found the quaker oats to be the best. Its easy to serve and enjoy my oatmeal. It is good form of complex carbohydrates and always to restore my energy till my next meal. quaker oats mixes well with water or milk for that reason its best to make protein pancakes which we can serve for one or two serving in a day, before or after hitting the gym and it acts a pre or post workout meal. Quaker oats is beneficial for the health to reduce blood pressure and cholesterol level. 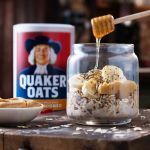 Eat healthy stay heathy and get enerzised with Quaker Oats. Bijirin yang mengenyangkan dan penuh dengan vitamin dan khasiat.Jumlah kalori yang rendah dan sangat sesuai untuk mereka yang berdiet. I’m not an oat fancy lover but I love to eat overnight oat as morning breakfast. 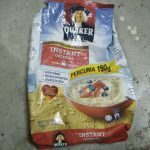 Quaker instant oat, not too hard and got soften very easily. Perfect match with yogurt and fruits. 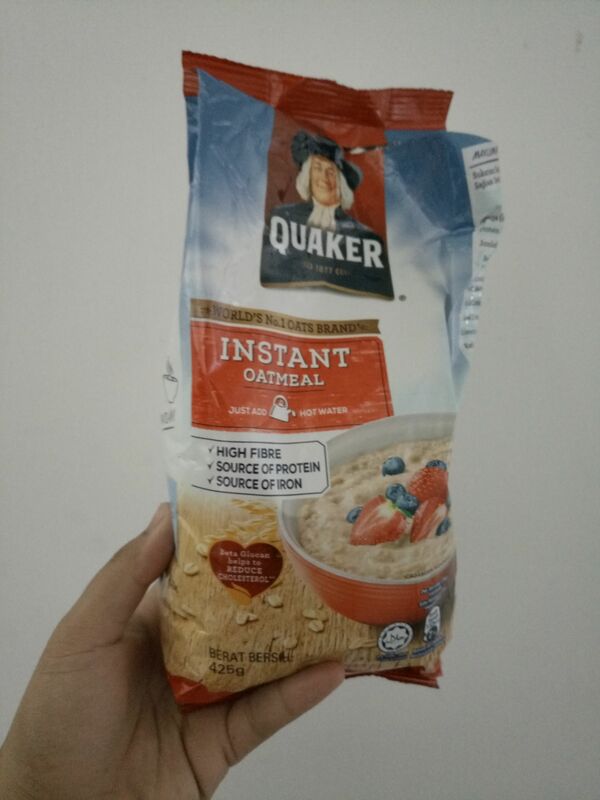 Quaker Oatmeal Instant sesuai dimakan waktu sarapan pagi dan makan malam.Khas untuk berdiet macam saya.Ia membakar lemak dan menyerap kolesterol dengan berkesan.Mudah disediakan hanya letak air panas dan tunggu selama 90minit sahaja.Rasa yang dicampur dengan buah-buahan dan madu membuat aroma bertambah lagi.Suka dihidangkan bersama air susu rendah lemak.memang ngam. After deliver my second child I have trouble to prepare breakfast due to pack schedule and Quacker Oats is my solution. 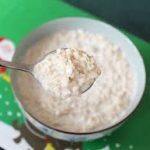 I even prepared it as overnight oat, pop it in the fridge and enjoy it on the next day. 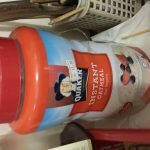 The amazing benefit I get from Quaker oat is long lasting energy and boost my milk supply for little one. Makanan yang sangat sesuai jika kita kesuntukan masa.Saya makan ketika sarapan dan kenyang sehingga petang.Sesuai untuk mereka yang berdiet dan menjaga kesihatan.Rasanya enak dan penuh dengan khasiat. 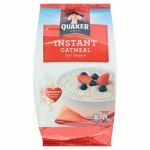 Qaker oatmeal instant is very delicious and tasty to eat every morning for breakfast as it easy and fast to prepare in just few minutes. It does not take long time as everything already in the packet. It is best to eat with fruits such as strawberry where I will just add together. The packaging is very nice and can have at anytime or anywhere. Great diet meal for those who plan to lose weight. Highly recommend and worth to purchase. 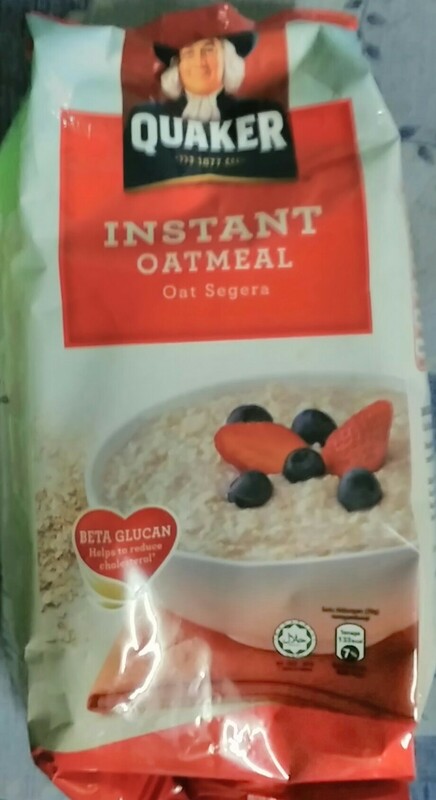 Instant oat meal adalah makanan sampingan kami pada waktu pagi sekiranya tidak sempat nak sediakan sarapan. anak2 pun suka klau campur dgn buah2an. Sedap dan berkhasiat. Sejak ayah ada penyakit kencing manis & darah tinggi, selalu buat oat untuk ayah makan. Rendah kolestrol dan baik untuk kesihatan ayah. Sedap makan dengan buah fresh atay buat bubur oat. Tak pernah tukar jenama lain dah. 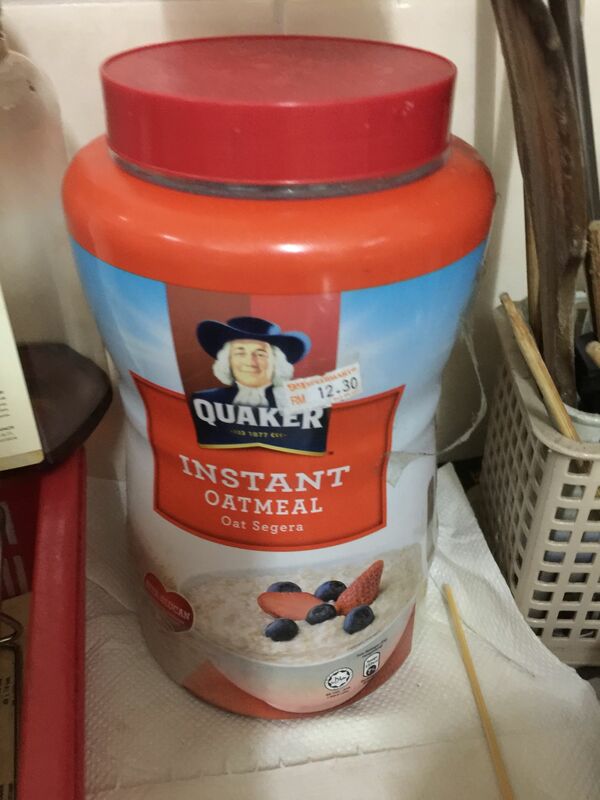 My father has been taking Quaker instant oat. He likes it a lot because it save him time to prepare. 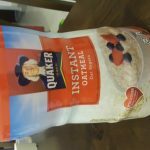 Quaker Oats has smoother texture compare to other brand and it’s convenient to purchase at store. It always has lots of promotion. I would recommend this for anybody who wish to reduce 3C and maintain a healthy life style . 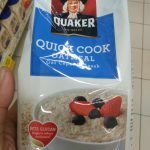 Quaker oatmeal menjadi pilihan saya kerana ianya berkhasiat dan mampu membantu saya mengamalkan gaya hidup yang sihat. Diet saya juga lebih seimbang dengan terkawalnya pengambilan jumlah kalori. 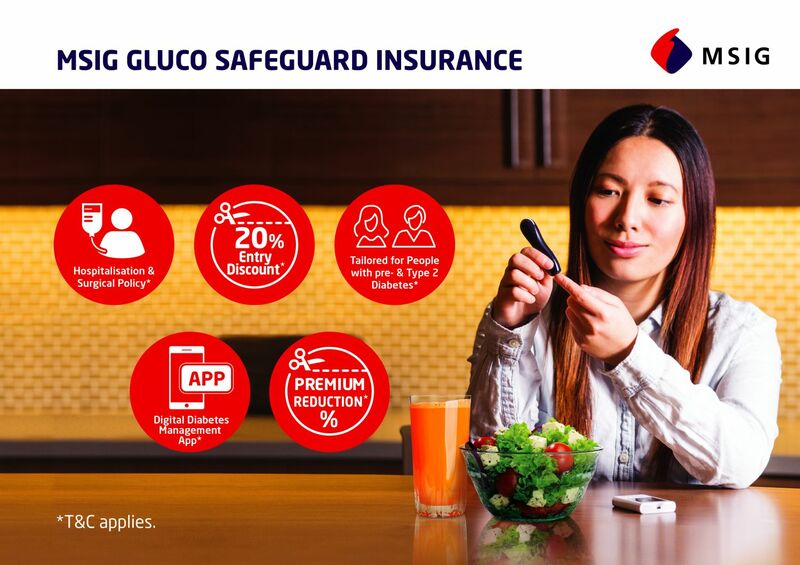 Tahap kolesterol saya juga lebih normal dan stabil. 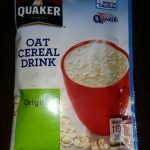 Quaker oat sangat bagus untuk kesihatan kerana dapat merendahkan tahap kolestral dalam badan, selepas joging atau sebelum joging saya akan minum/makan oat untuk menggalakkan pembakaran lemak itu berlaku. So kesihatan dapat dijaga dan kehidupan terjamin. I eat this for breakfast every so often. It’s surprisingly tasty, even when it’s taken by itself. For best results, use warm milk instead of water and try adding fruits or other foods to it. My favorite is oatmeal+milk+milo+banana+cinnamon powder. Shiok weh! I can say this can be a perfect companion meal for busy people like me because it can keep me full for hours even if you decide to skip any meal. And it can also taste quite good if you combine them with fruits and milk. I like to think that a cup of this save me from suffering stomach ache so to those who having difficulties in finding food, just eat this and you can feel more full afterwards. I love this! Going through busy scheduless, my day is always uncertain. Time is an asset for me and that’s why, I need to have meals that are snappy and take almost no time at all. 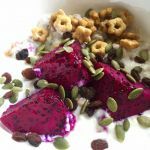 I pour a few table spoons in my bowl, add some non-dairy milk (like almond milk) and place it in the microwave to help soften the oats. Then, I put my favourite toppings so I am able to store in the fridge overnight and not have to worry about what to eat the next day. 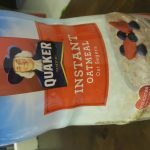 It’s super convenient for me too because these oats cook in a blink of an eye and I love it! Oatmeal mentioned above has significantly improved my health level by reduces my cholesterol level and back to its normal range. In addition, it means a great source of daily fiber to me since it can relieves conspitation and improve my bowrl movement. Saya suka dengan oatmeal ni kerana ianya mampu mengurangkan kolestrol sekaligus menjaga kesihatan keluarga saya. Paling sedap bila buat overnight oat. Harga berpatutan dan mudah didapati. Every morning, I will take a small bowl of Quaker Oatmeal. Oatmeal can help to lower down cholesterol, provide nutrient to our body and it is convenient to prepare. Can in some fruits like strawberry, blueberry to add in some taste. 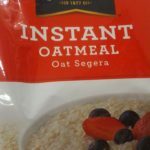 Quaker Oatmeal Instant direndam semalaman bersama susu, buah-buah segar serta kekacang dan dimakan sejuk-sejuk, serius sangat sedap! Bukan sahaja menyihatkan, malah sedap dan kena dengan tekak. This is a good choice for healthy eating lifestyle. Very suitable for the whole family. Can eat on its own only or add your favorite cut fruits and raisins. 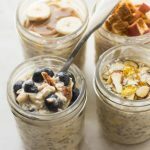 As of late, there is this new trend of various recipes of overnight oats – very easy and convenient to prepare the night before and the next morning breakfast is ready.